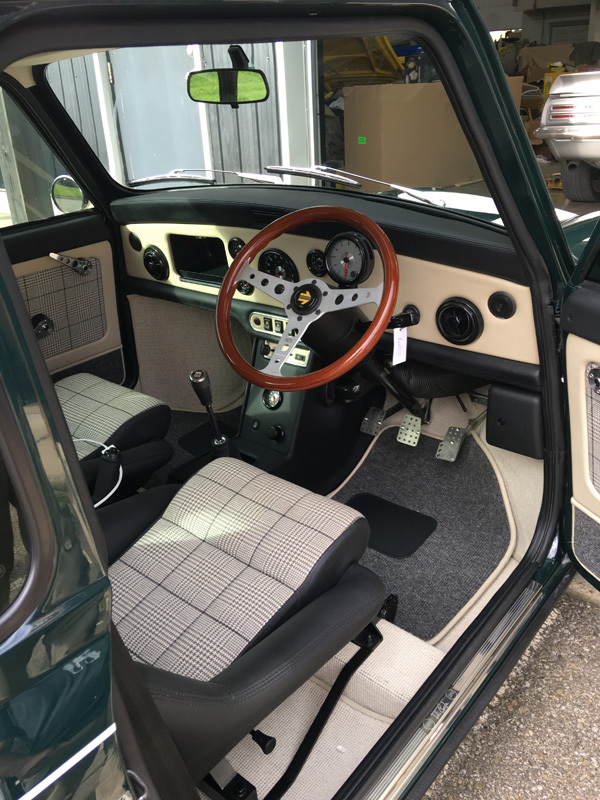 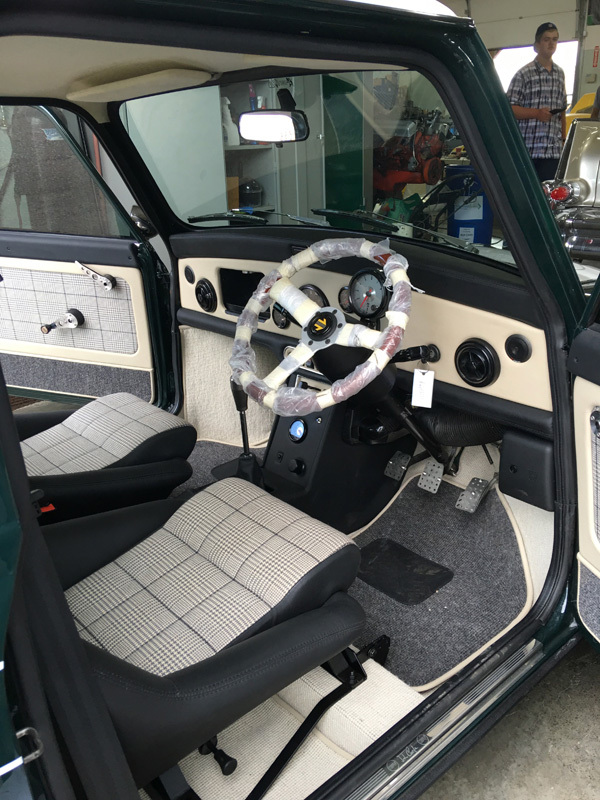 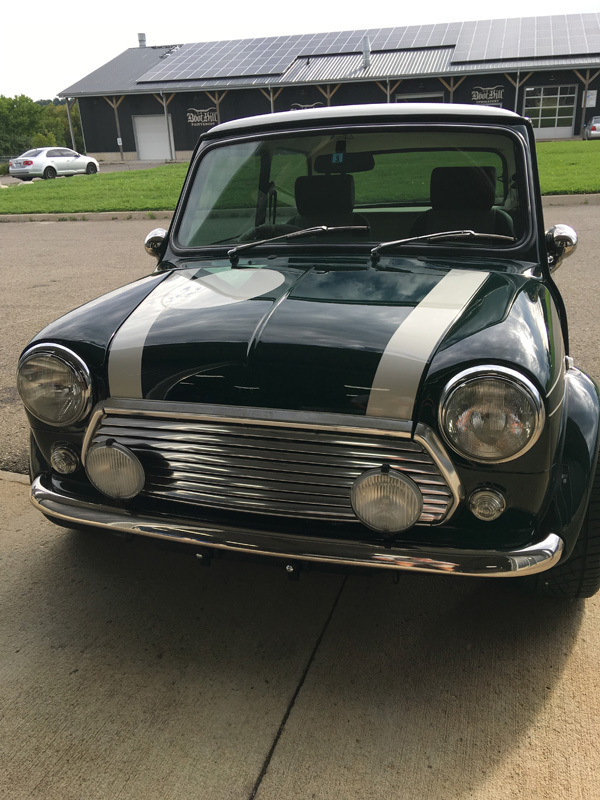 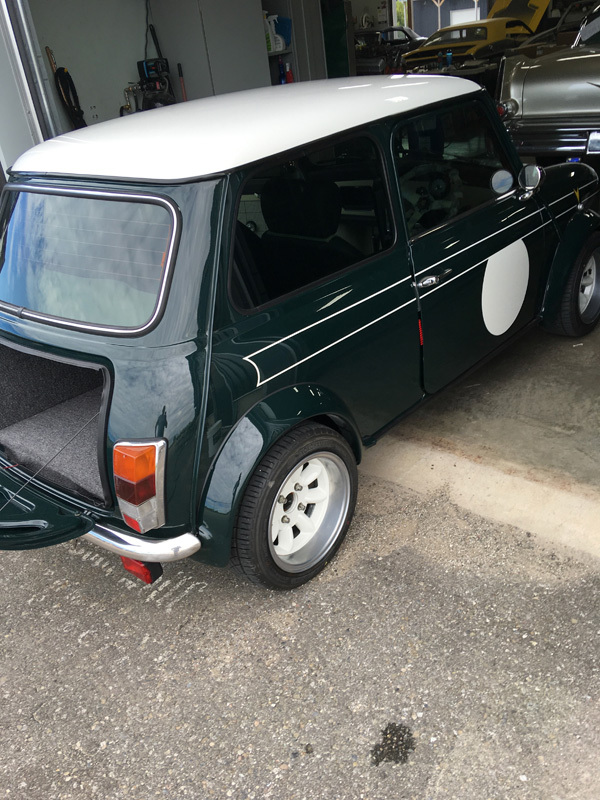 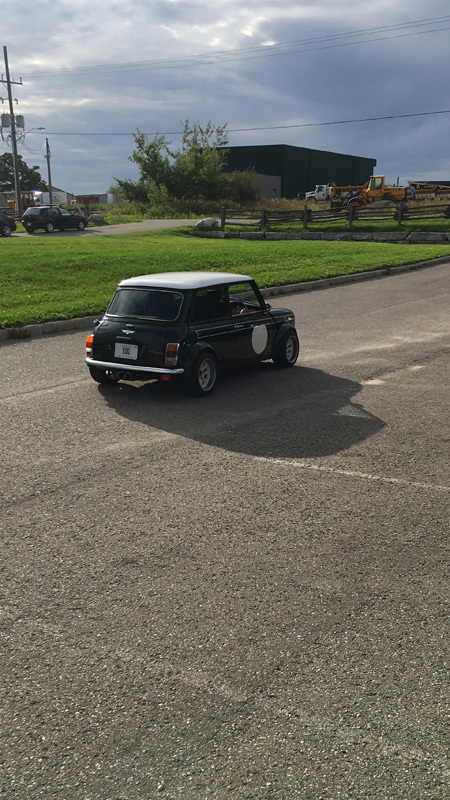 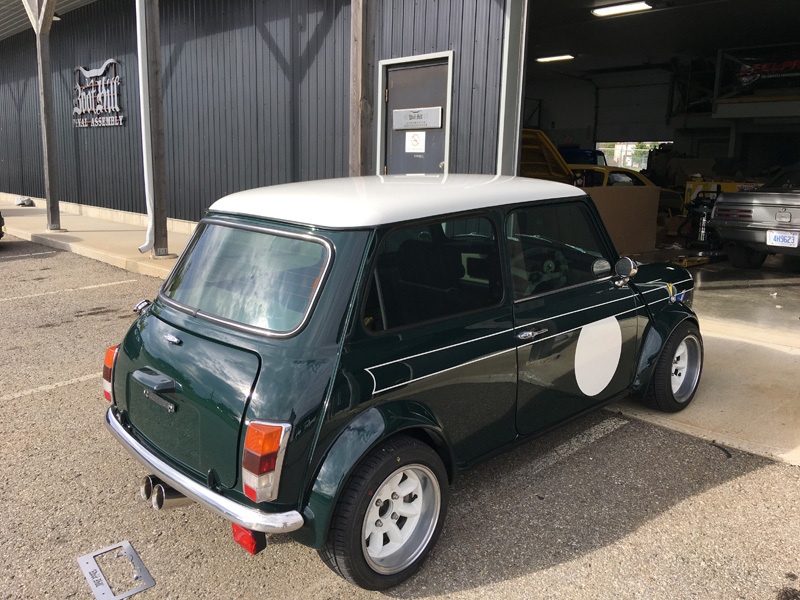 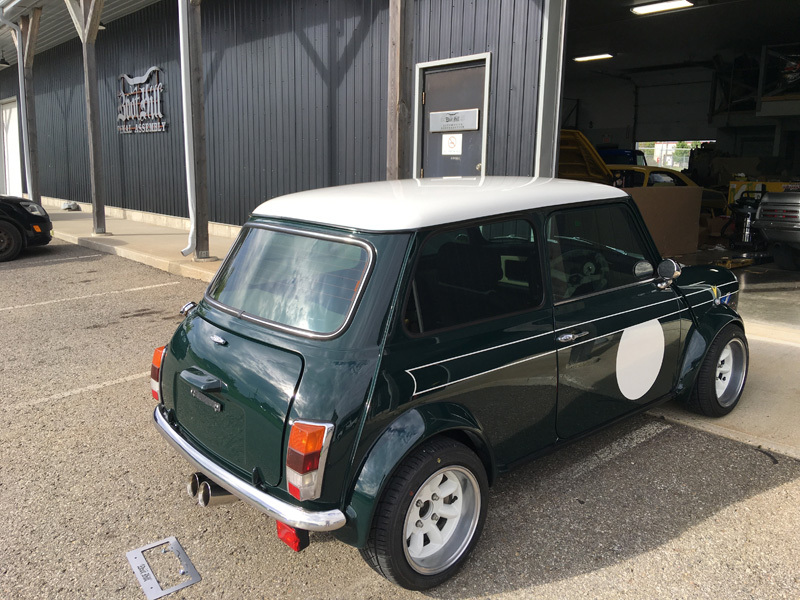 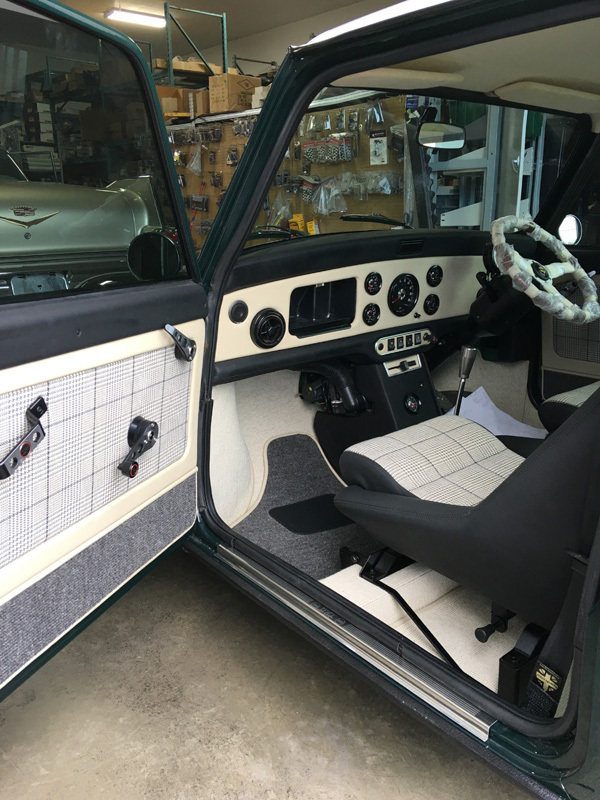 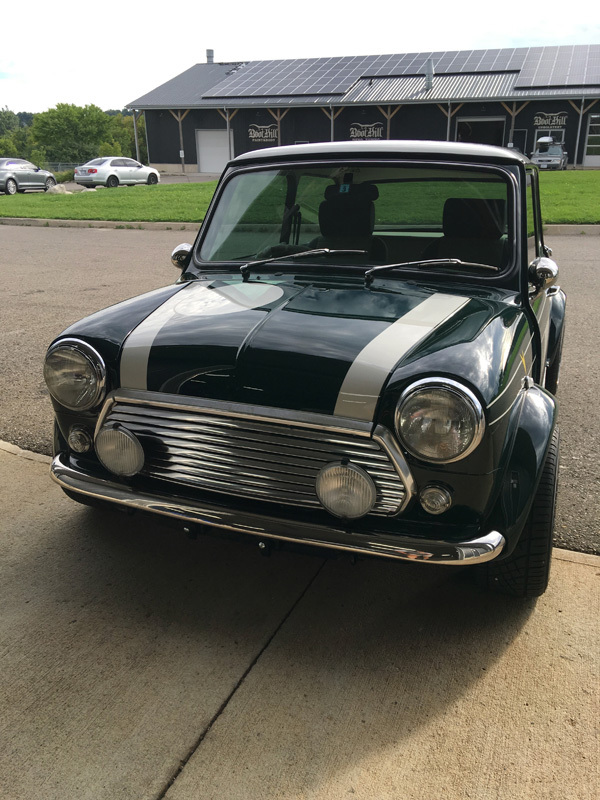 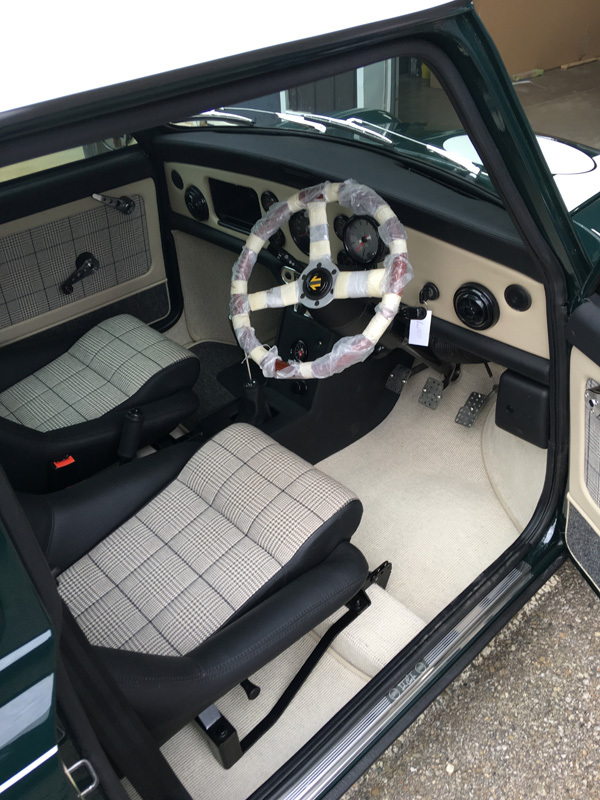 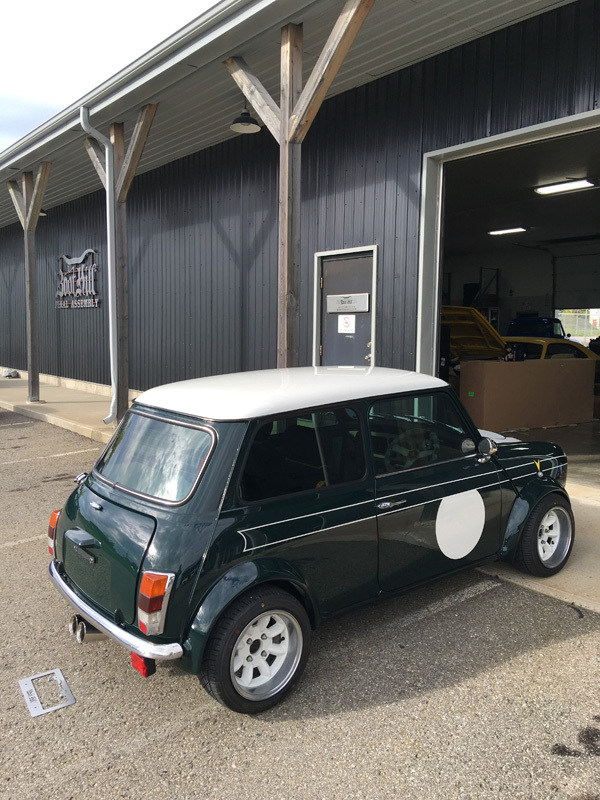 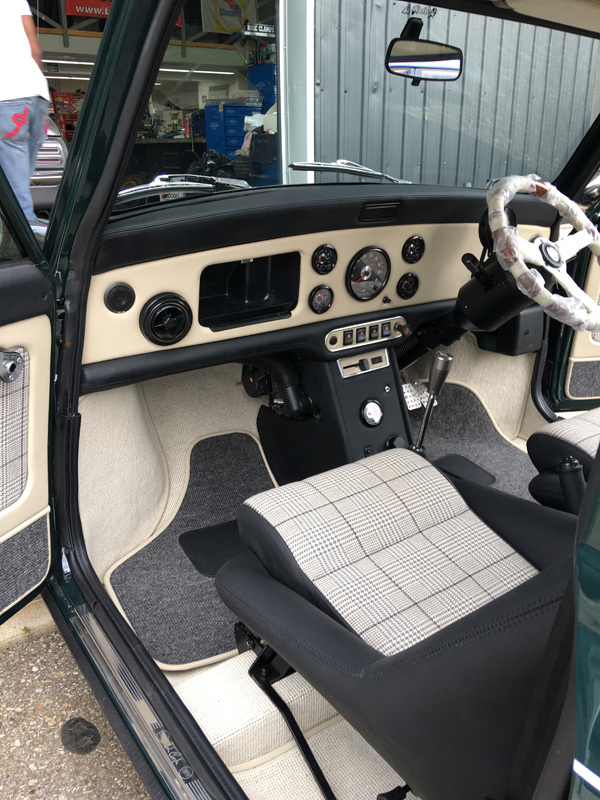 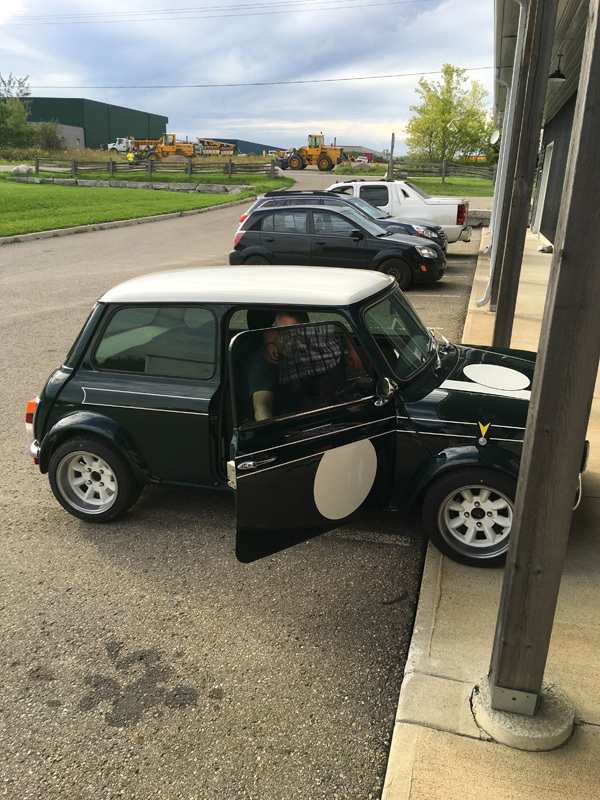 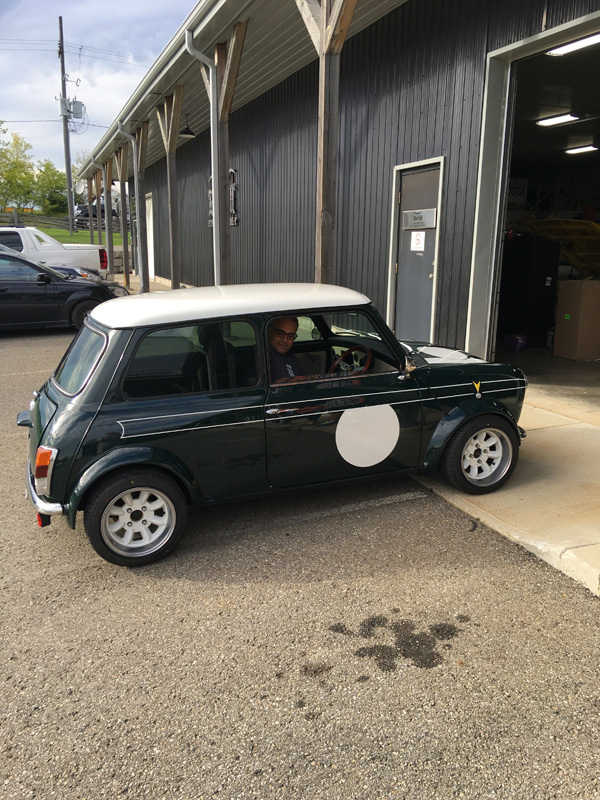 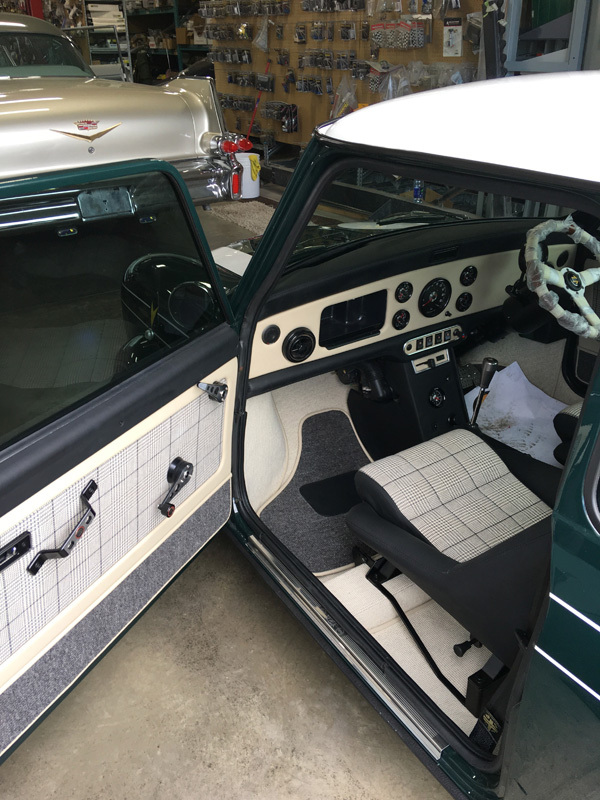 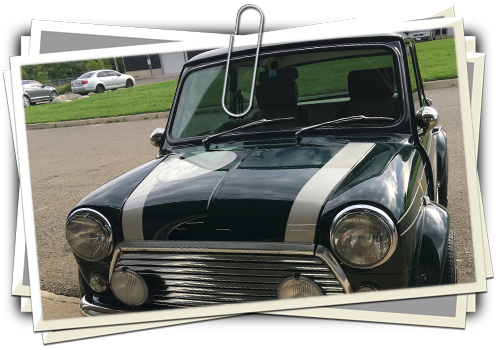 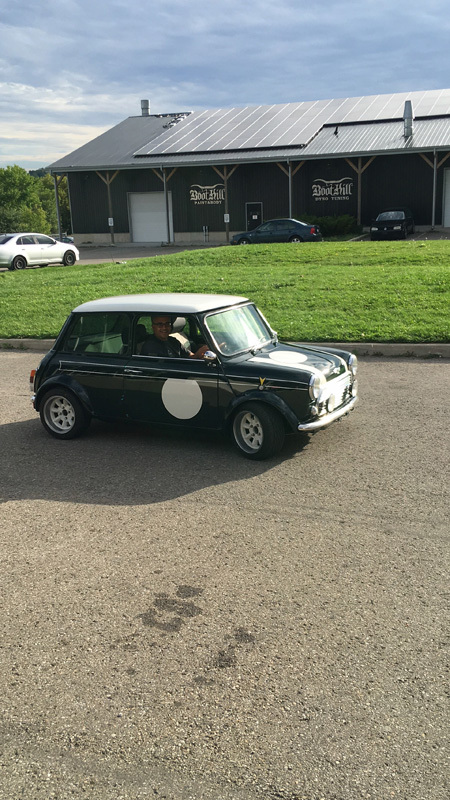 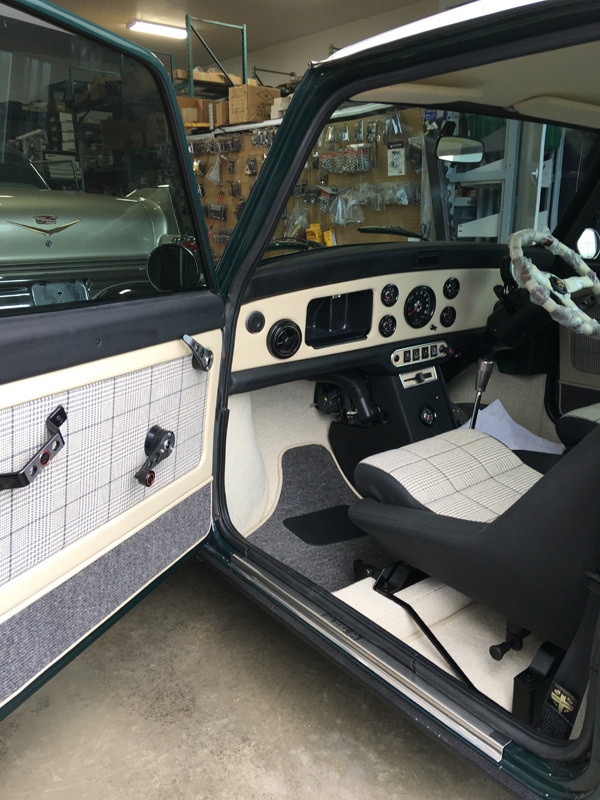 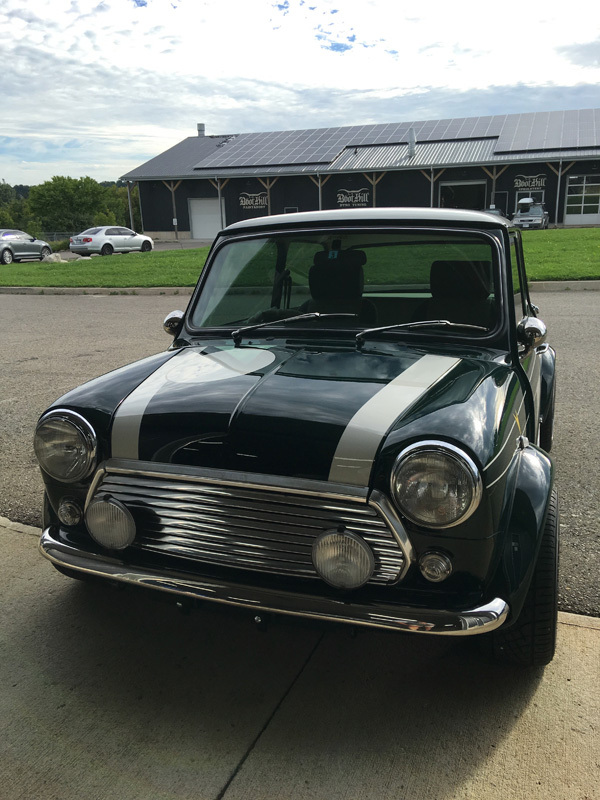 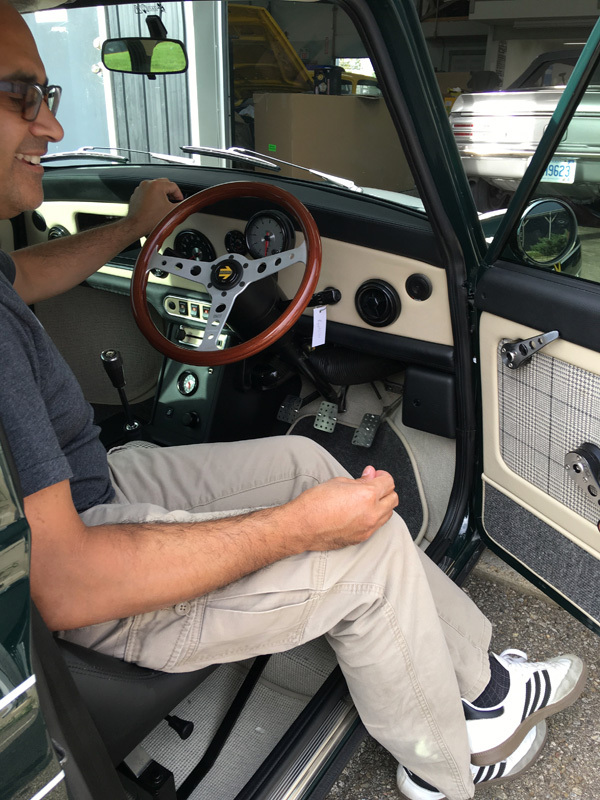 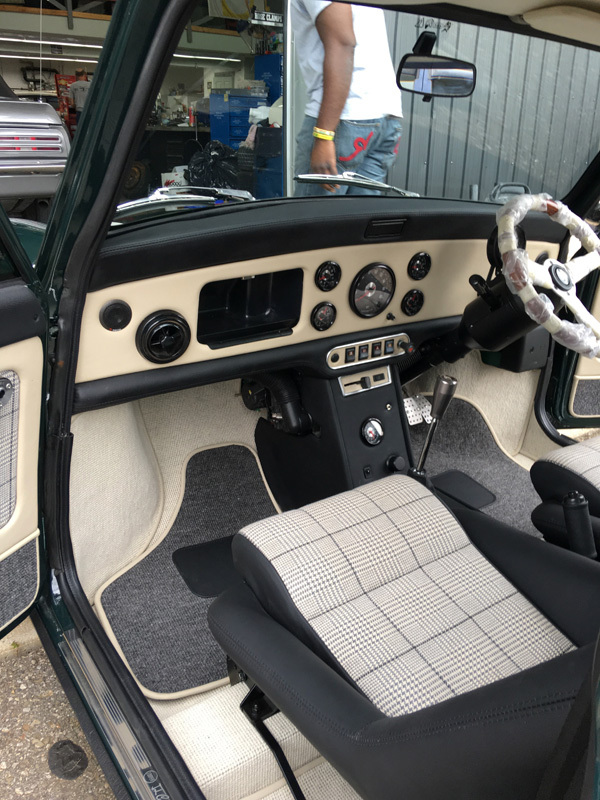 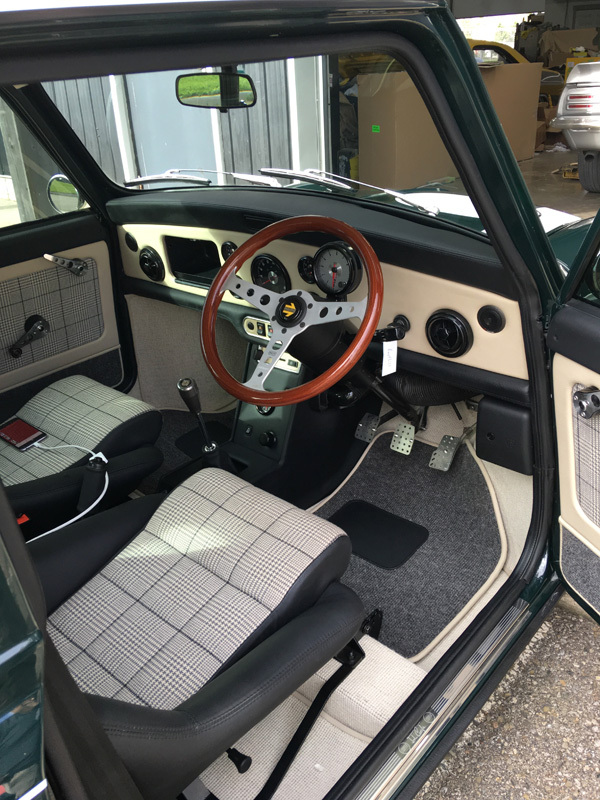 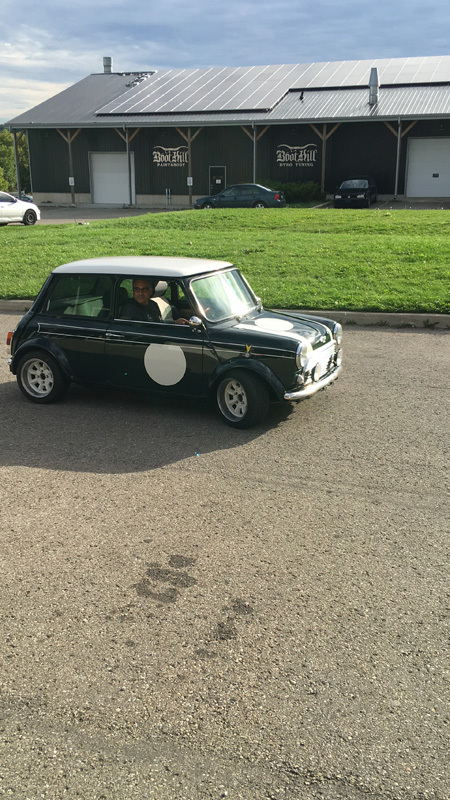 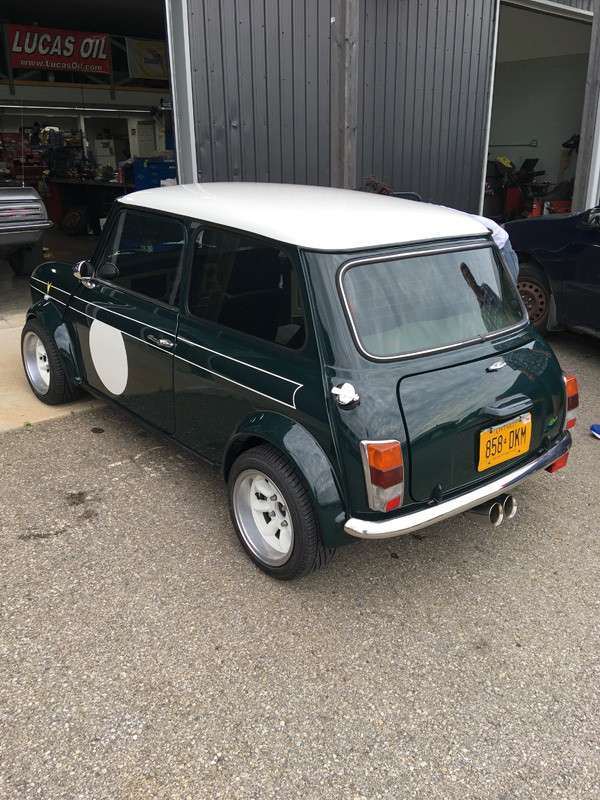 This 1999 Classic Mini Cooper is a very cool small package. 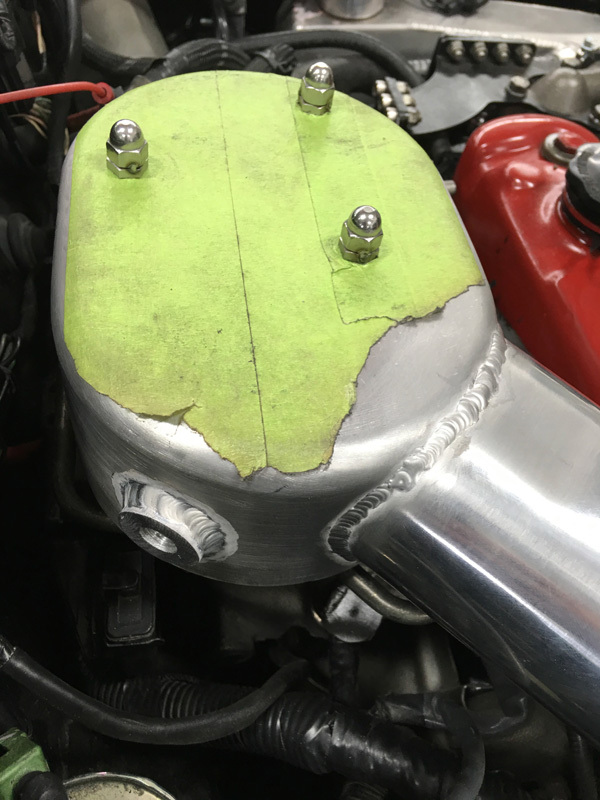 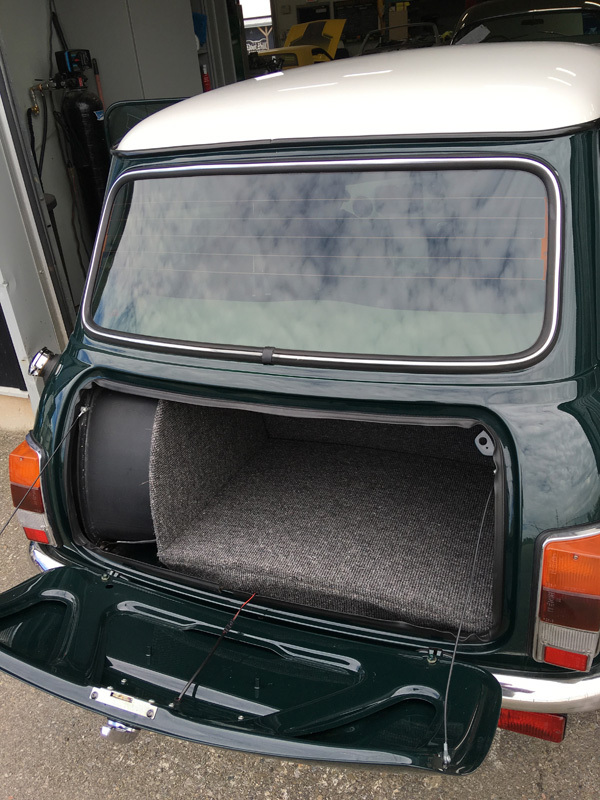 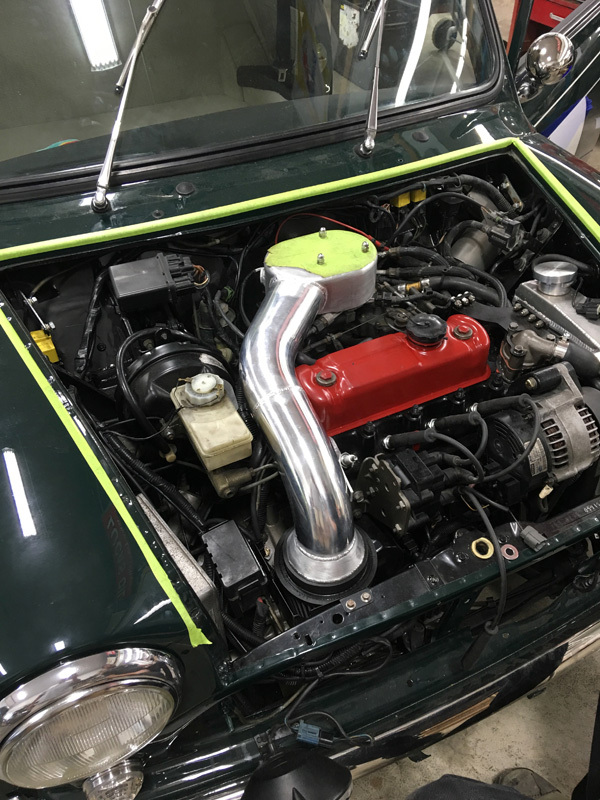 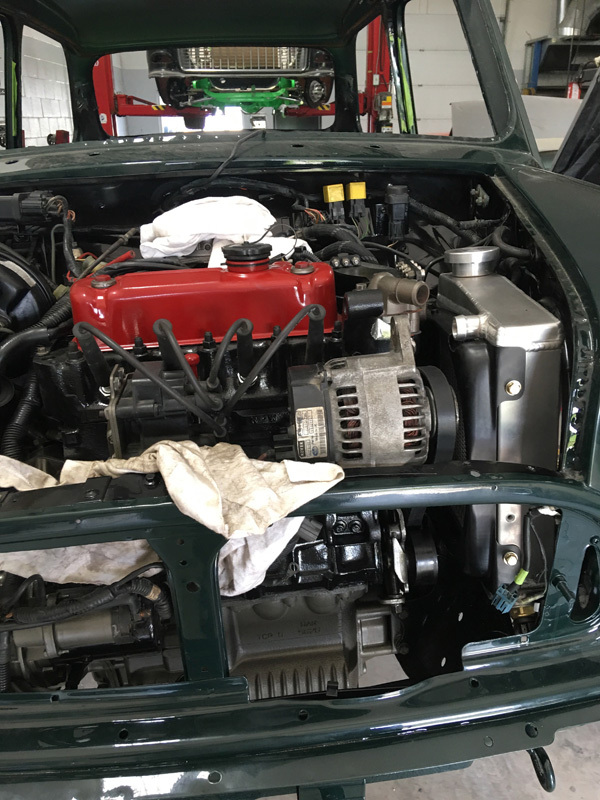 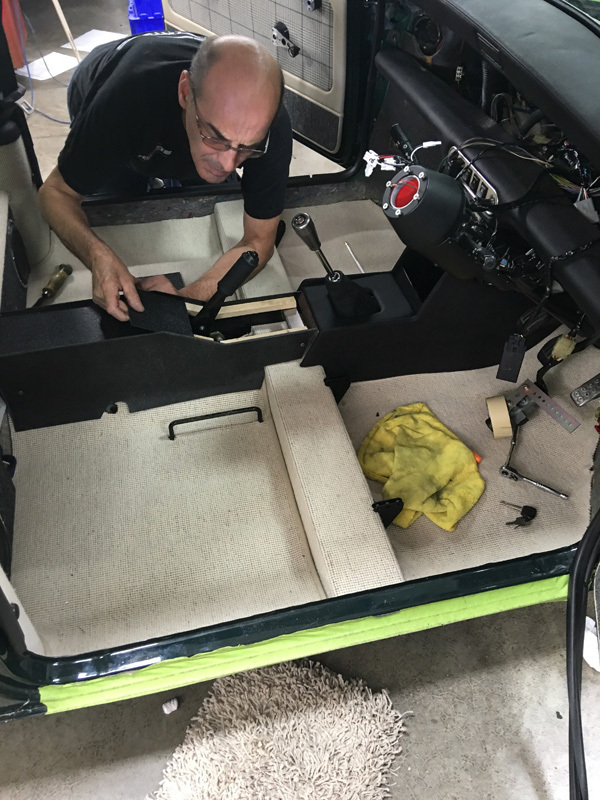 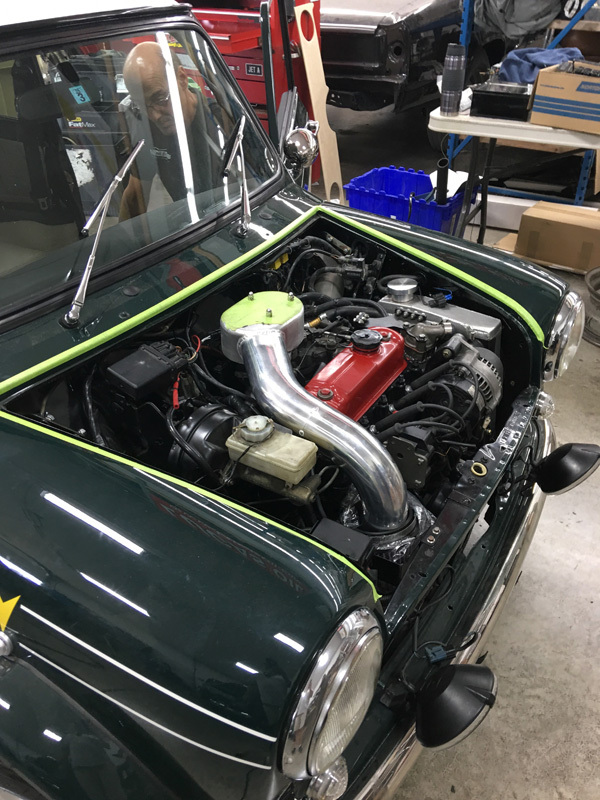 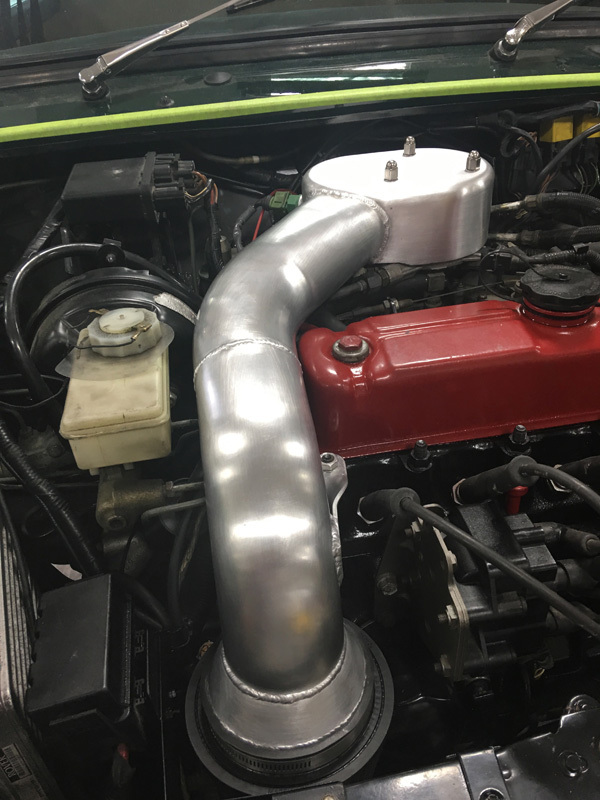 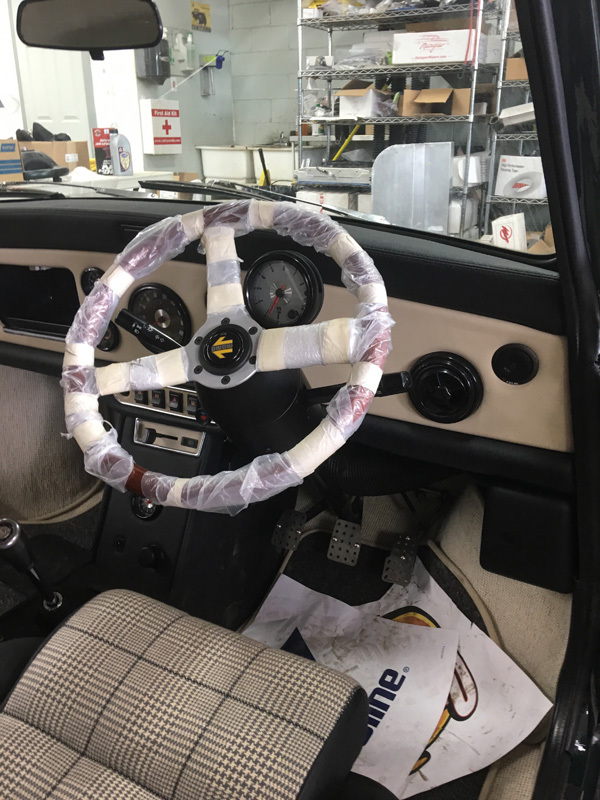 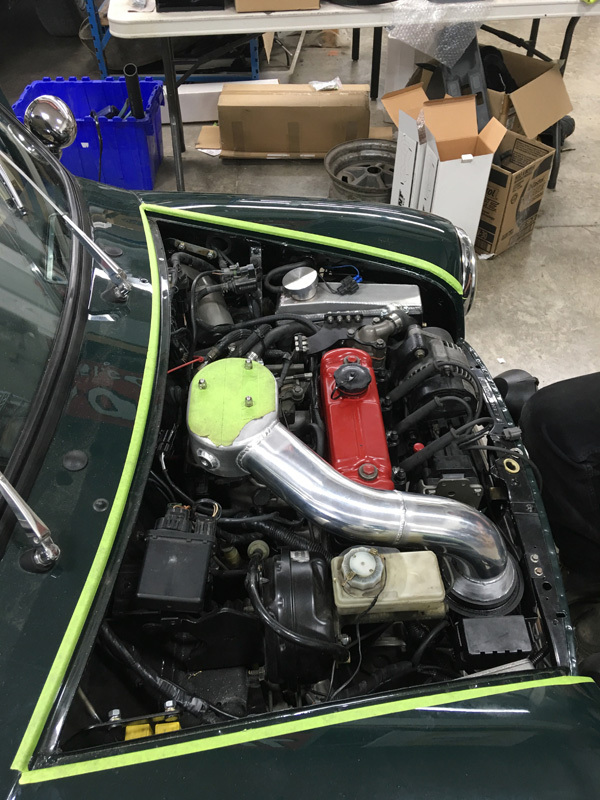 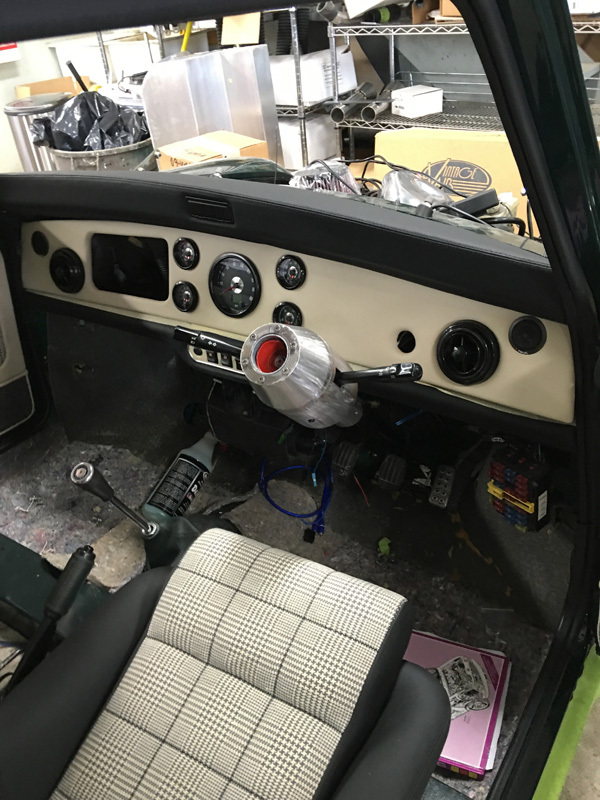 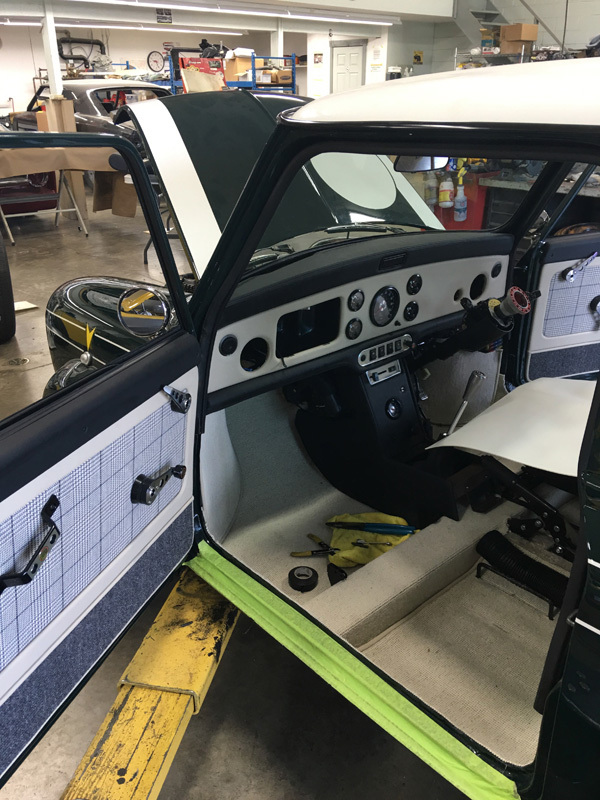 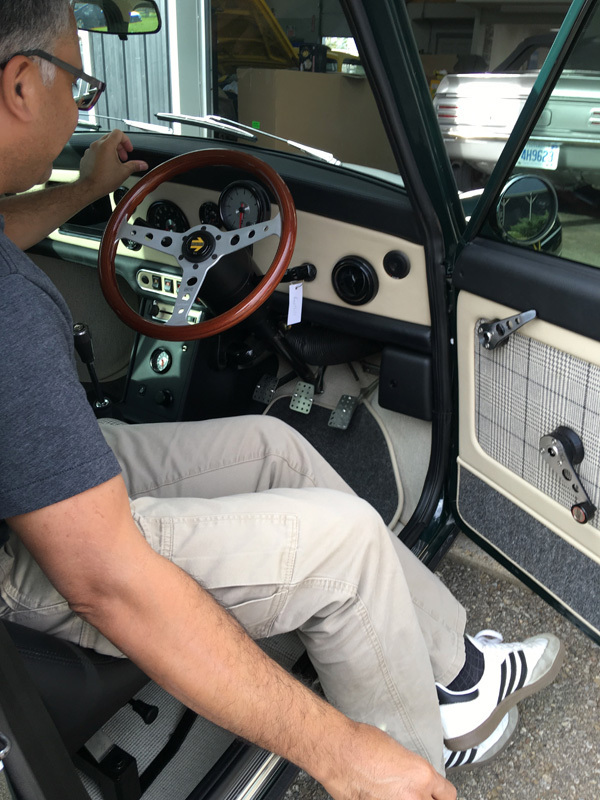 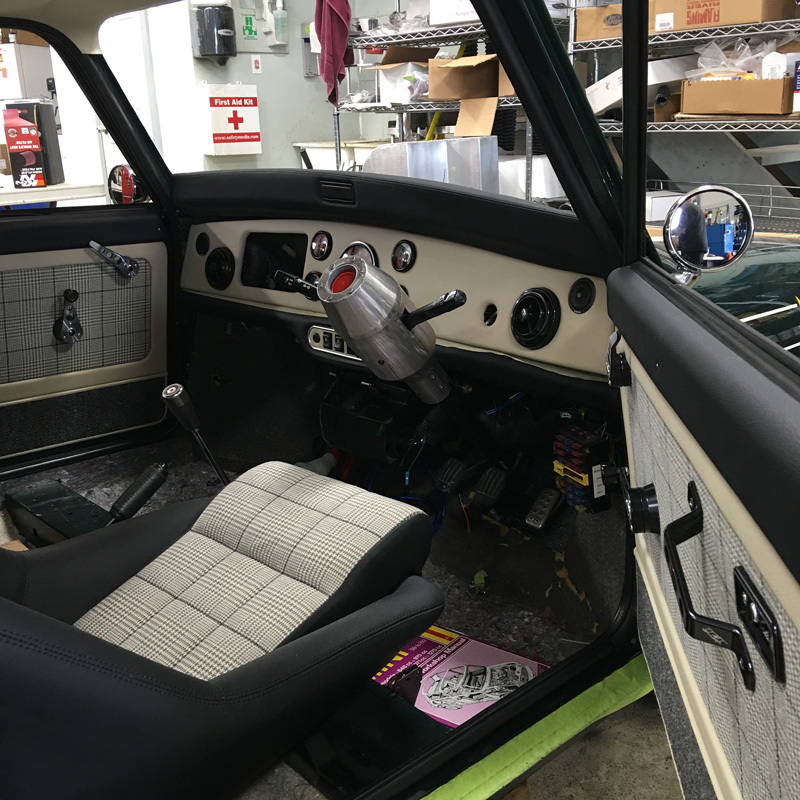 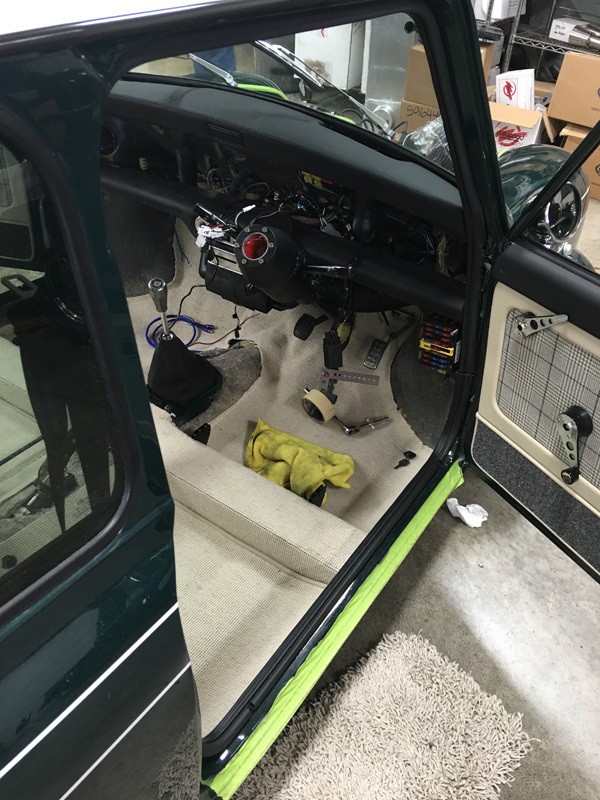 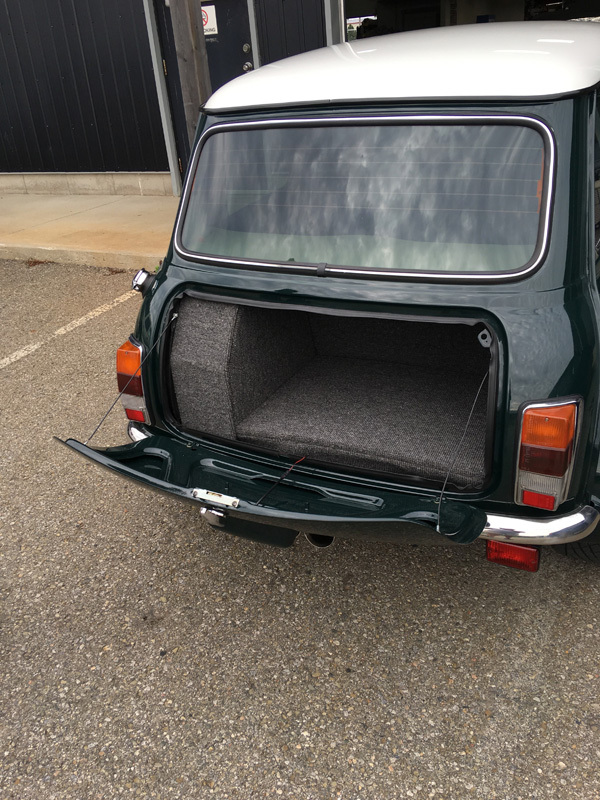 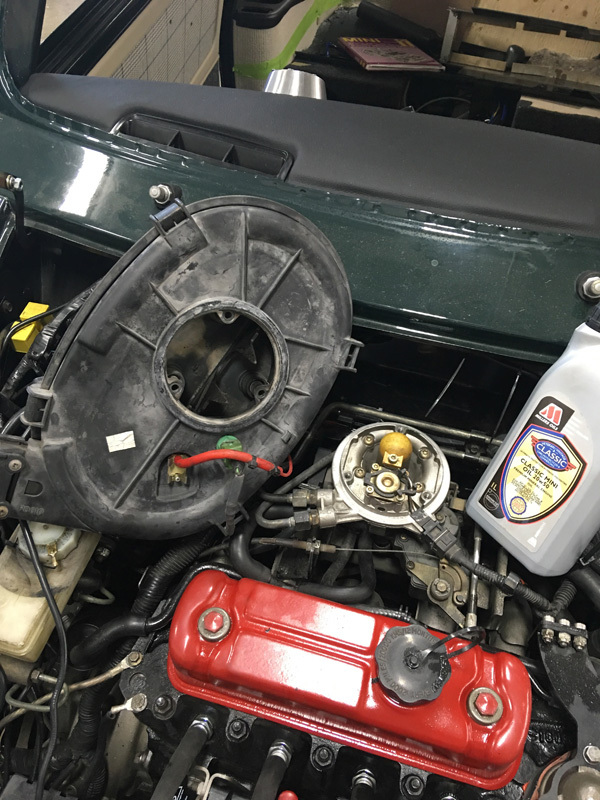 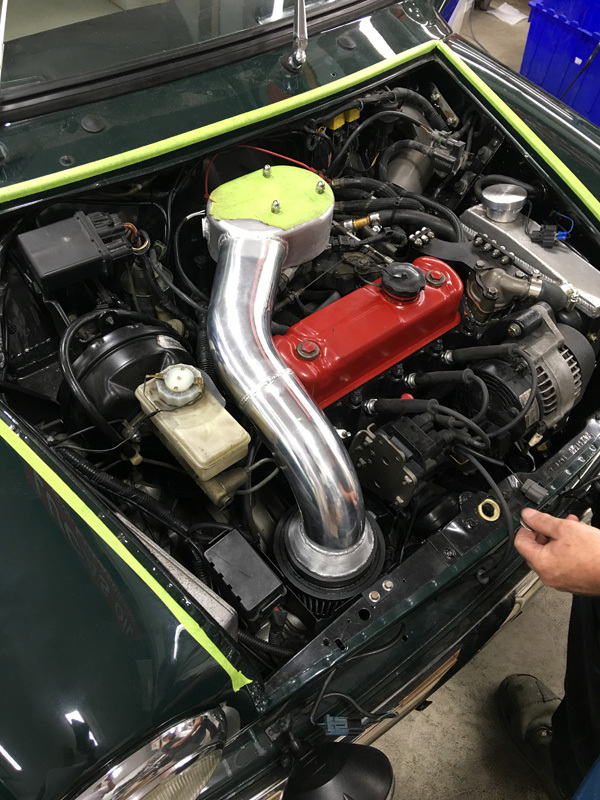 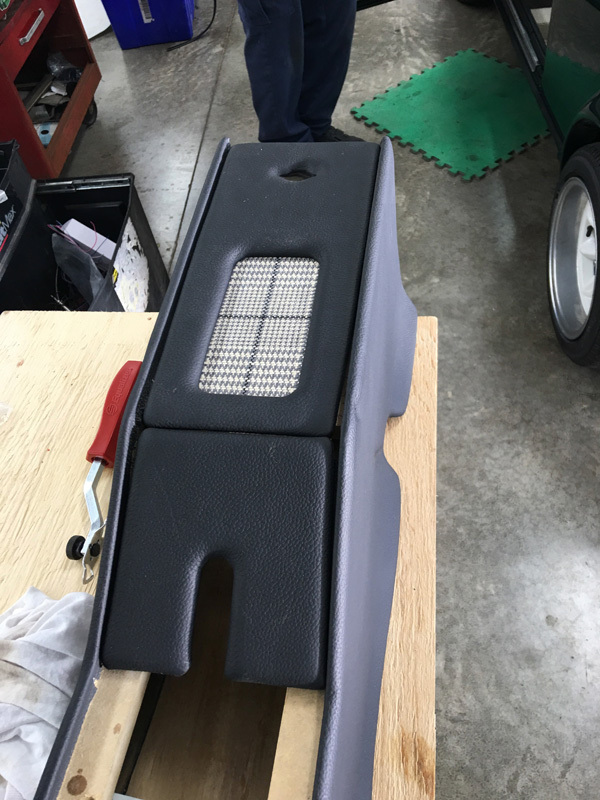 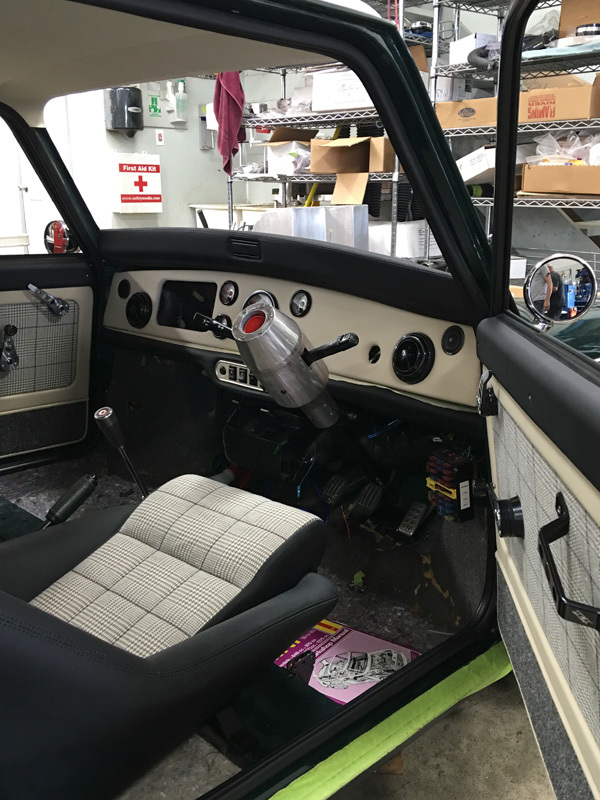 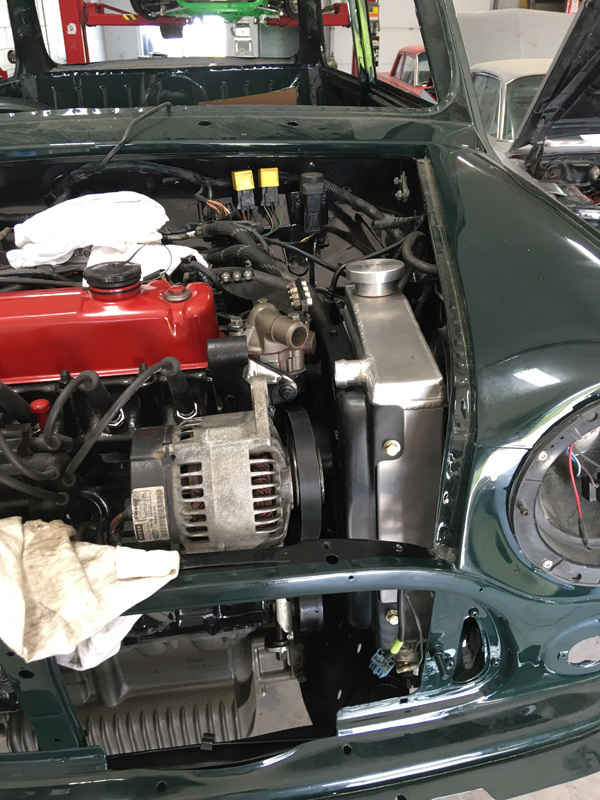 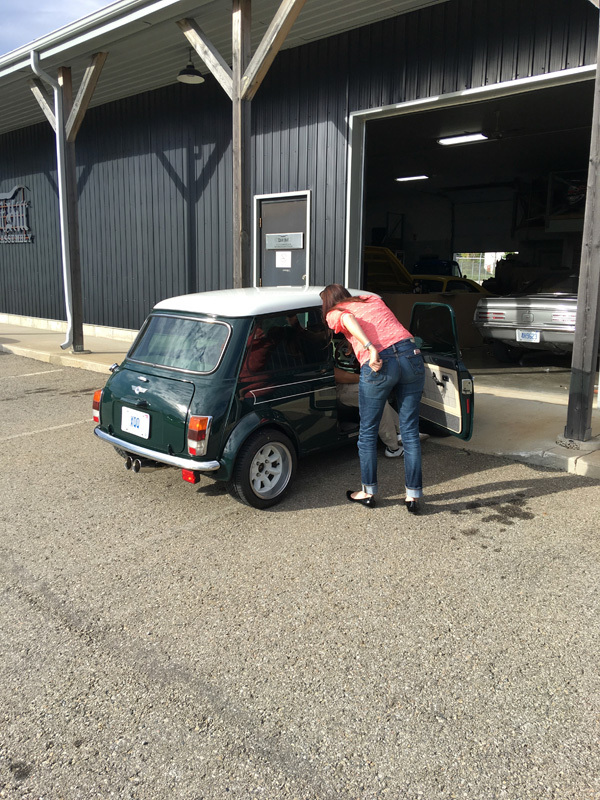 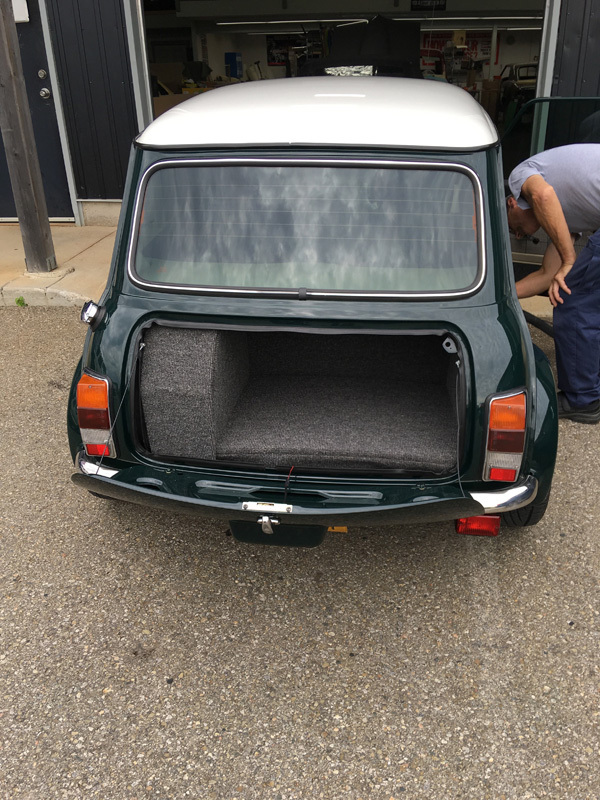 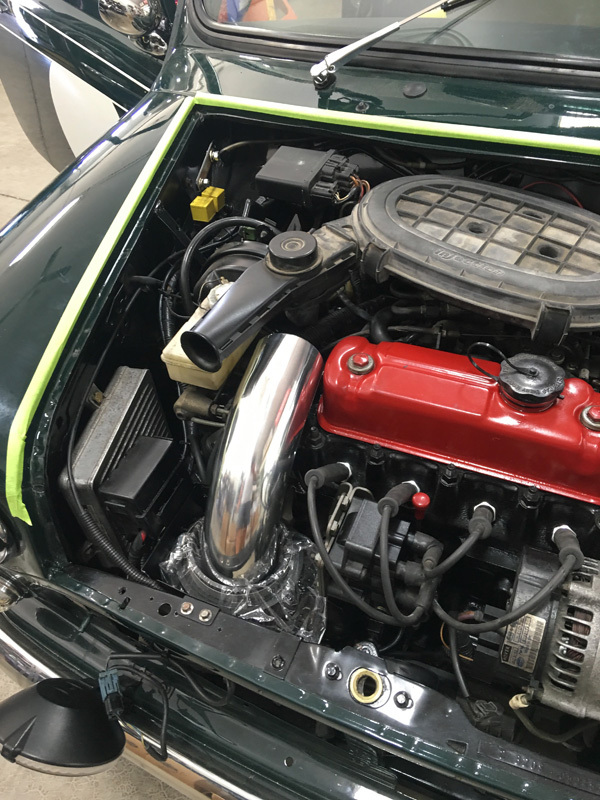 Boot Hill was asked to do a Full restoration on the Mini. 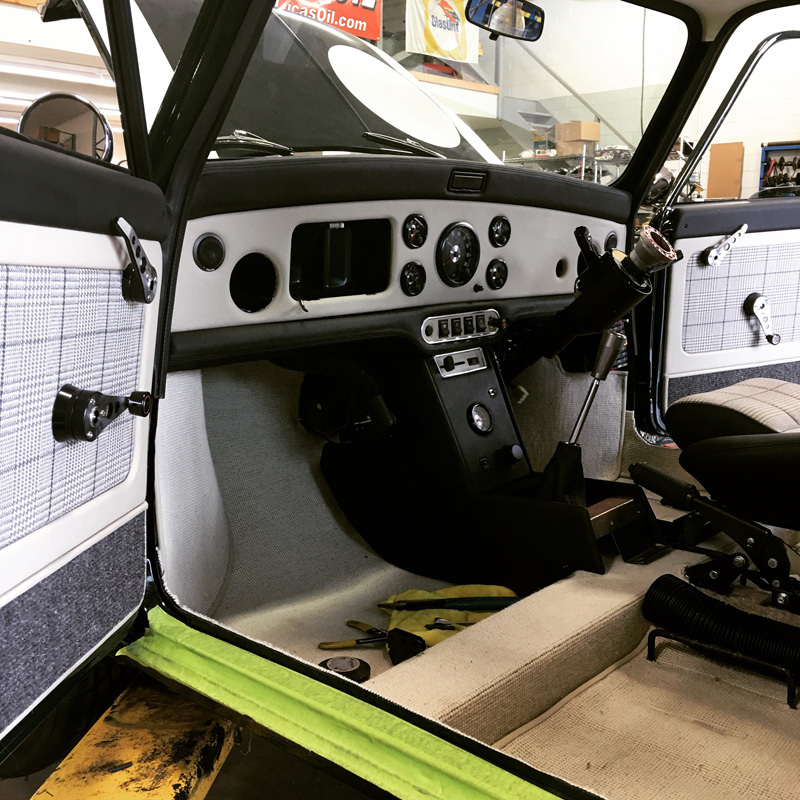 Starting with Body and Paint we then added custom striping and colours, upgraded brakes, cold air induction, custom exhaust, killer stealth audio system, and the Icing on this English cake is the amazing interior. 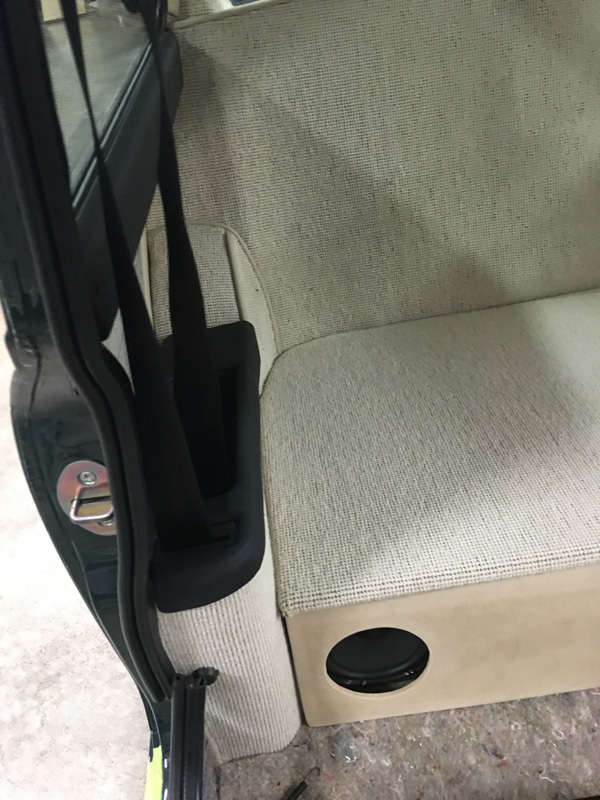 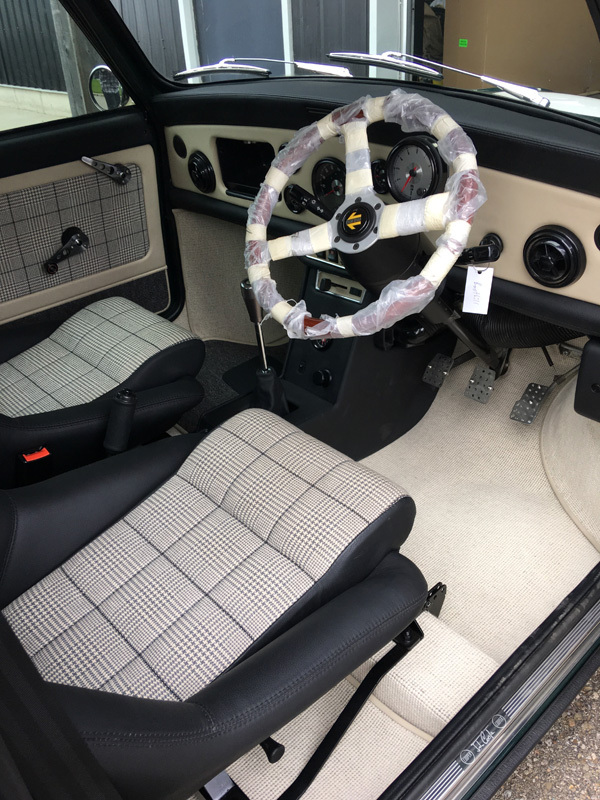 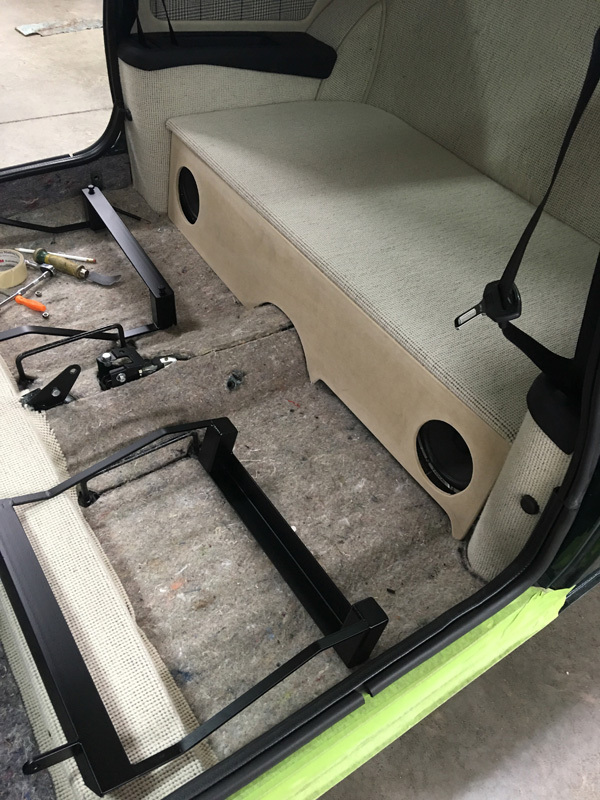 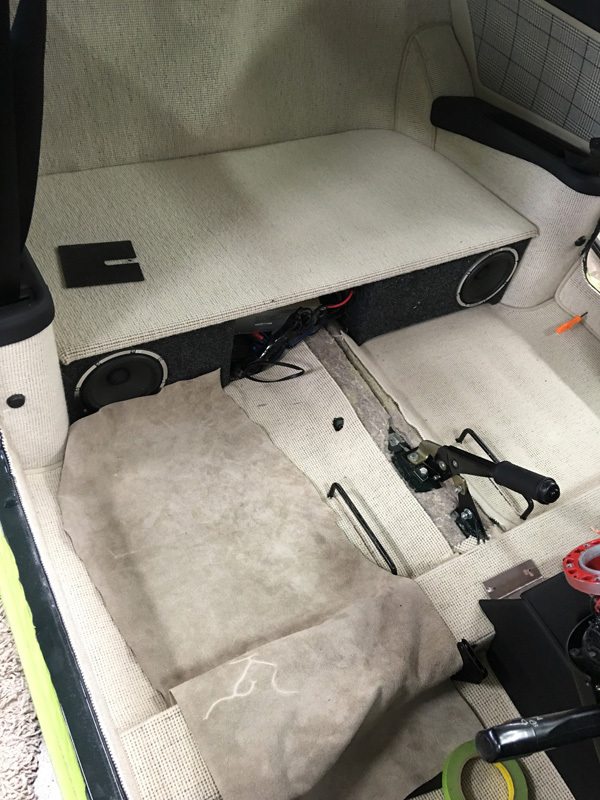 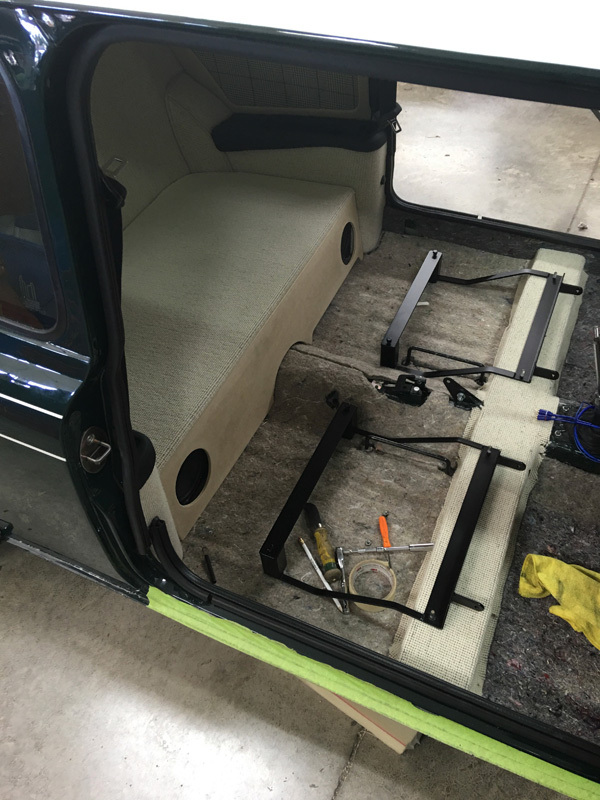 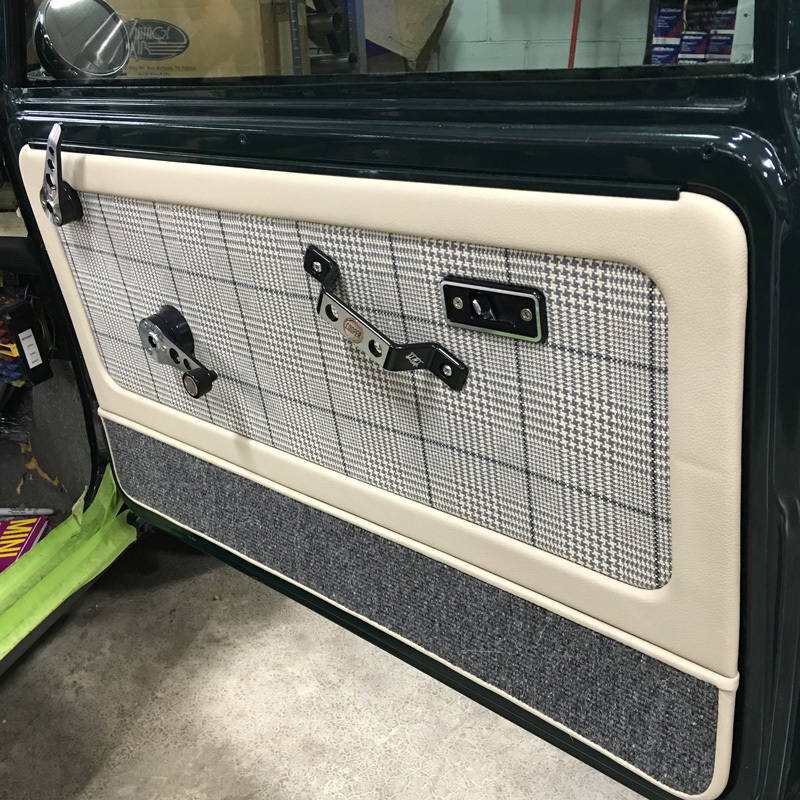 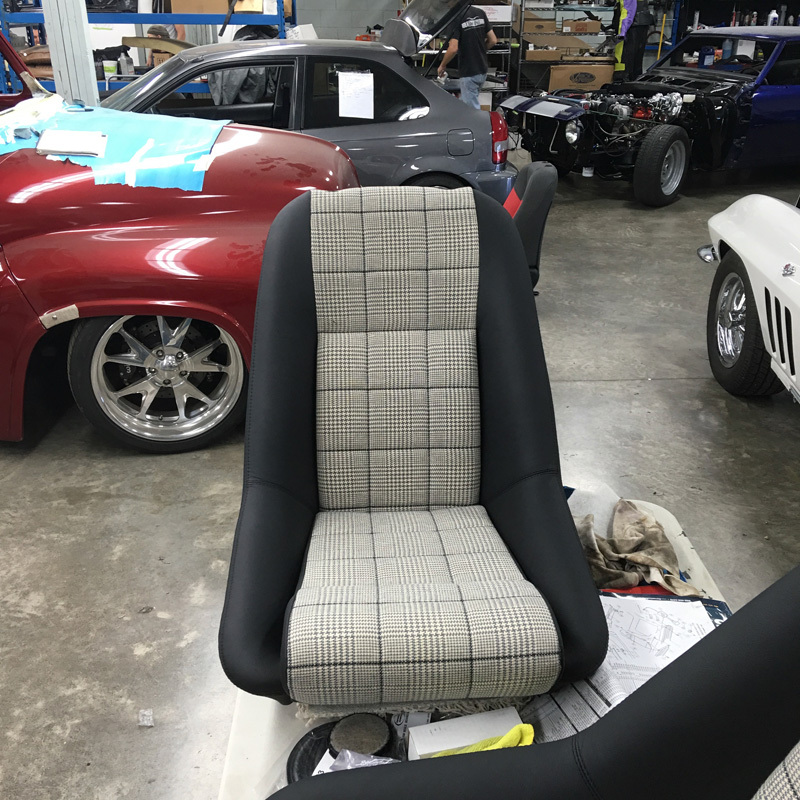 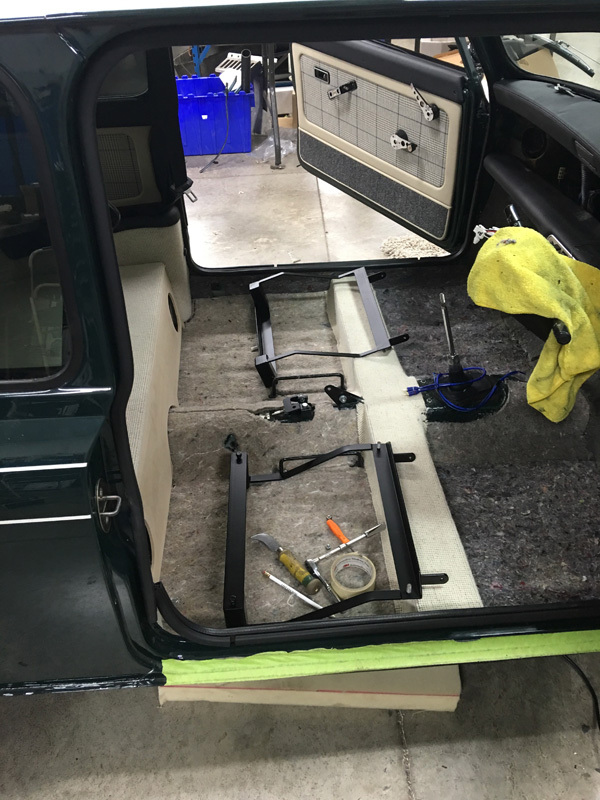 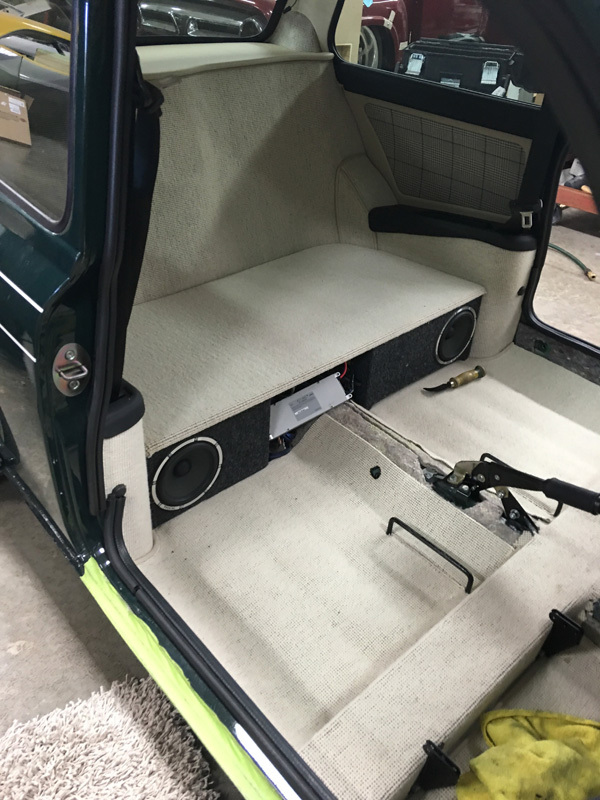 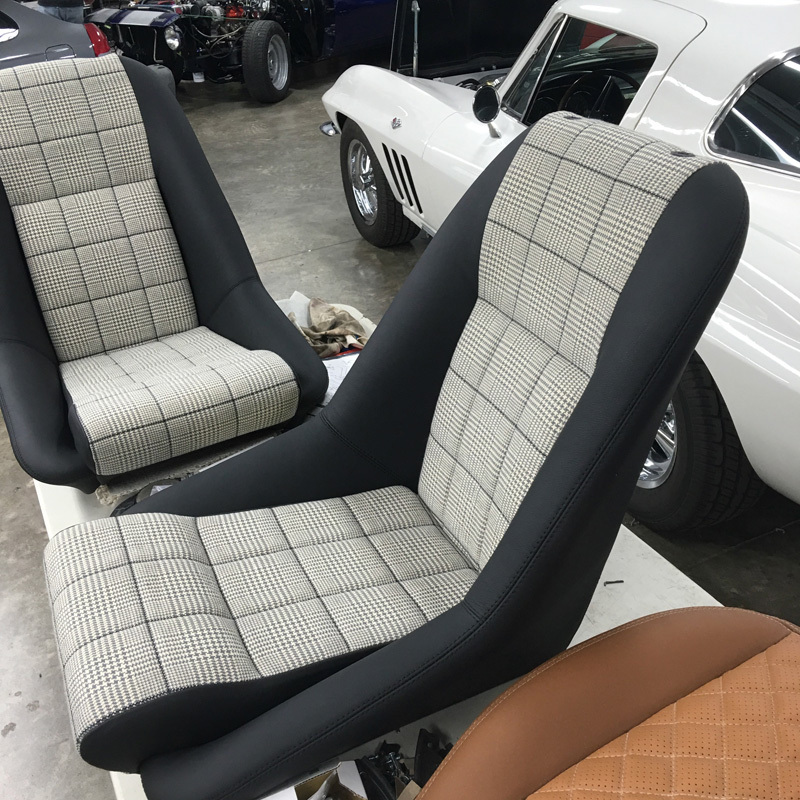 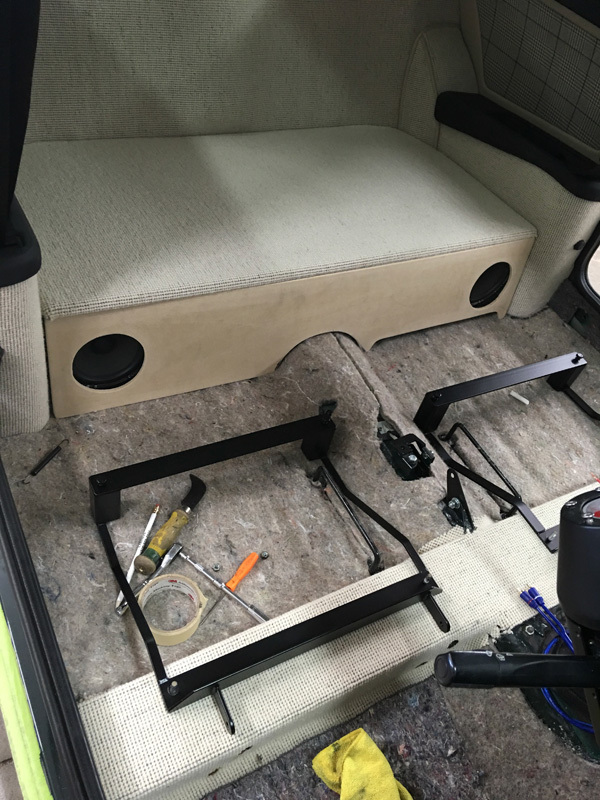 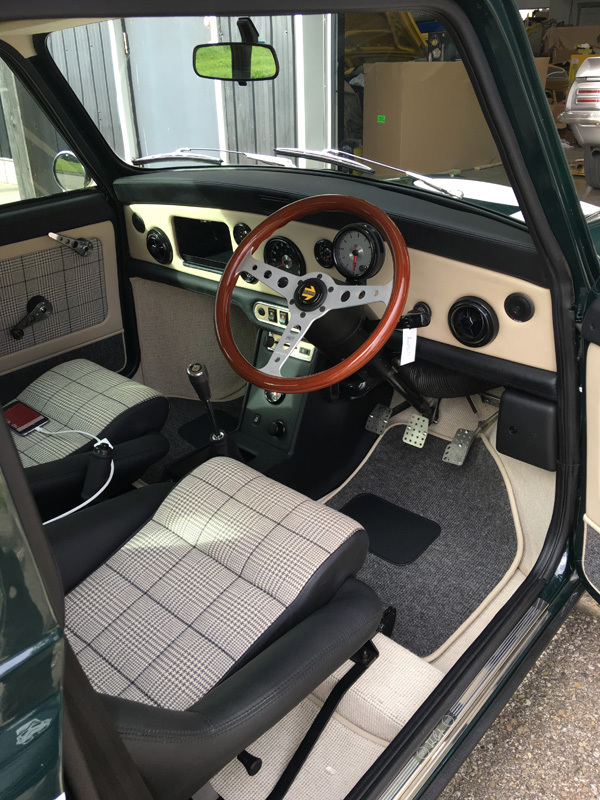 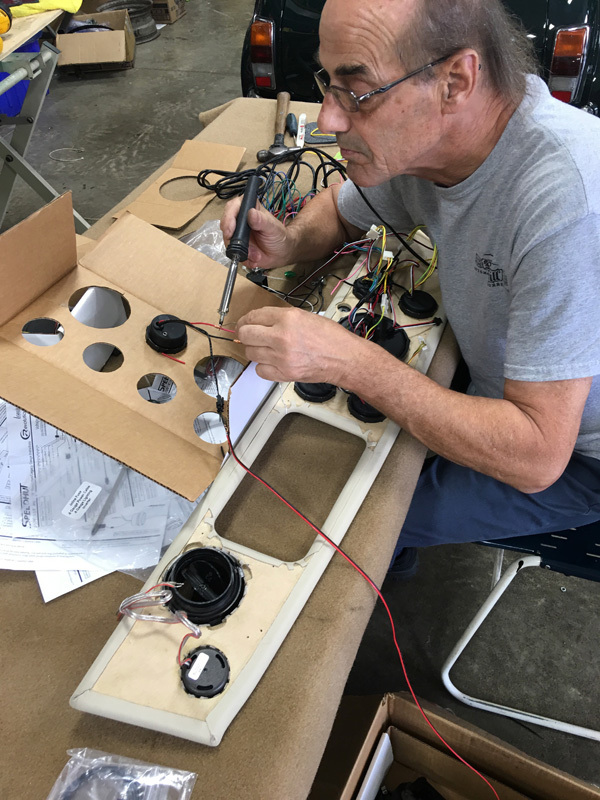 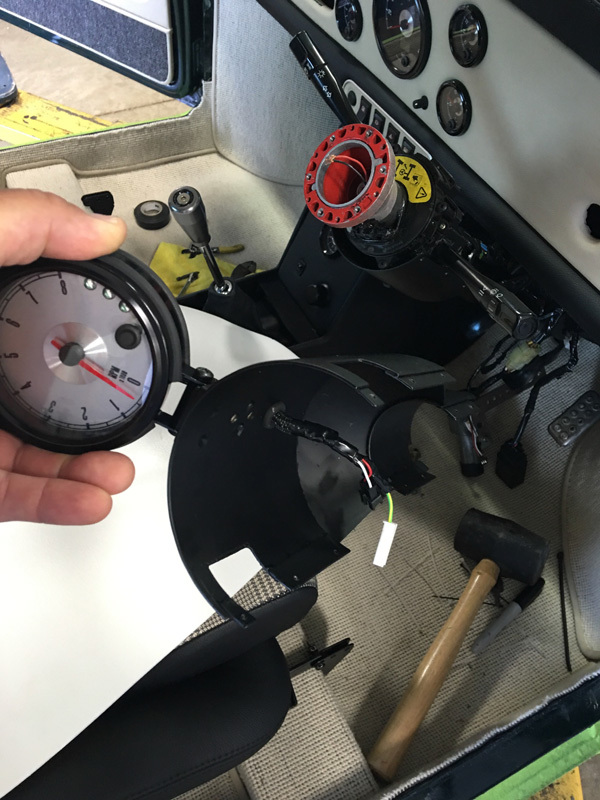 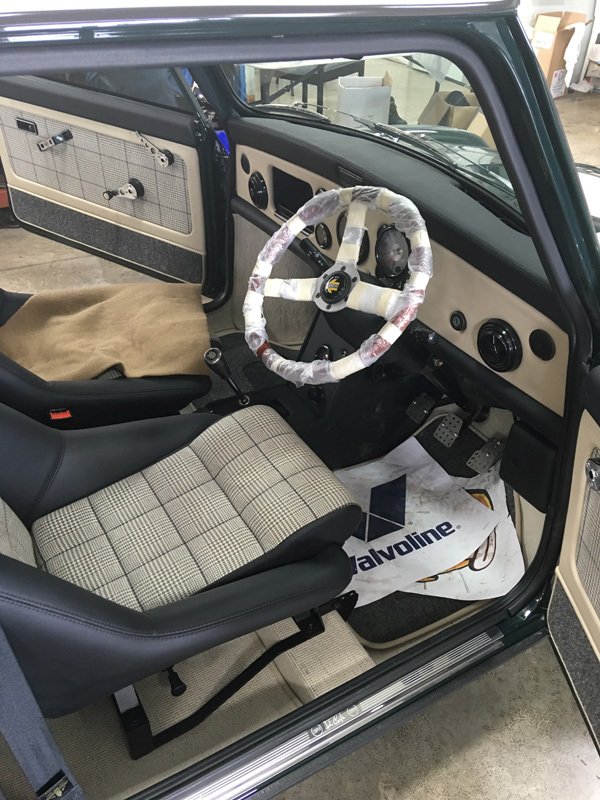 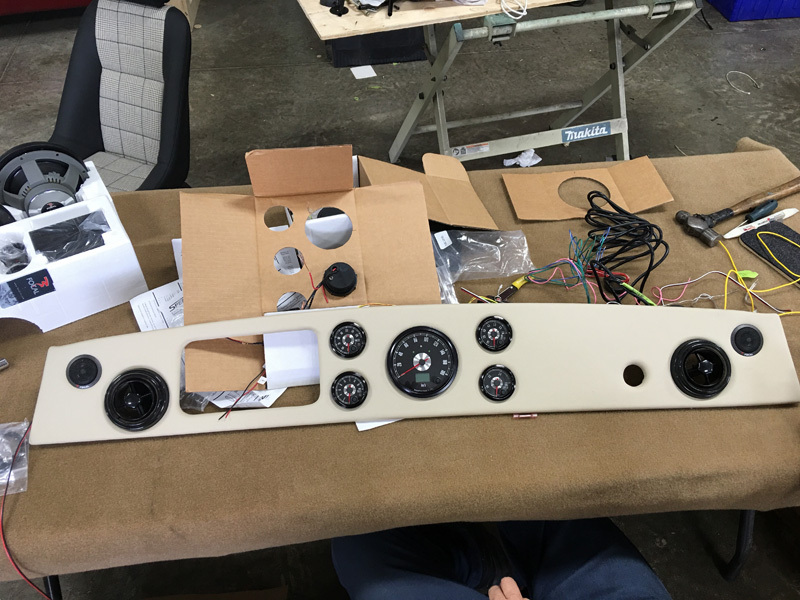 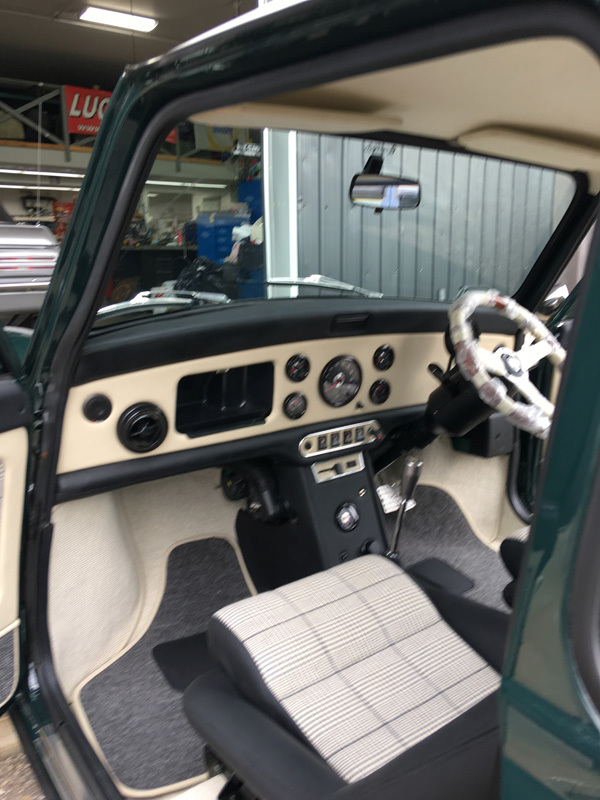 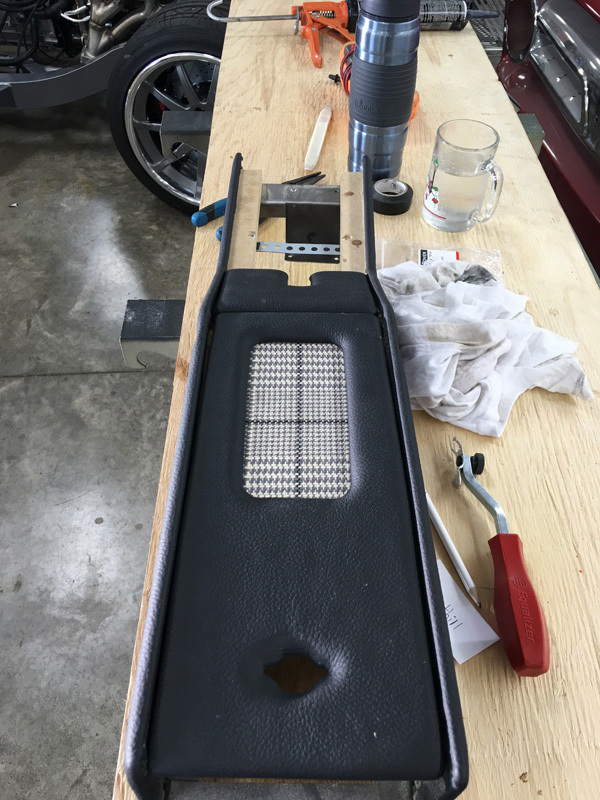 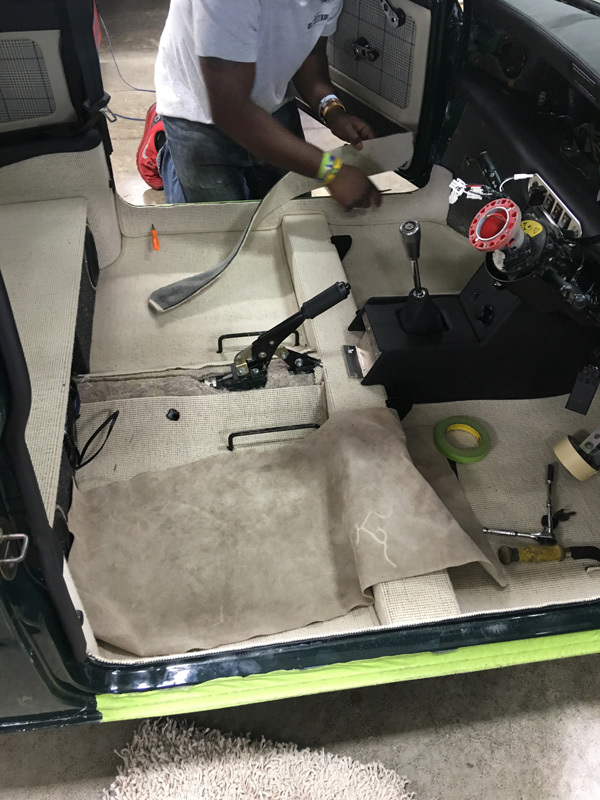 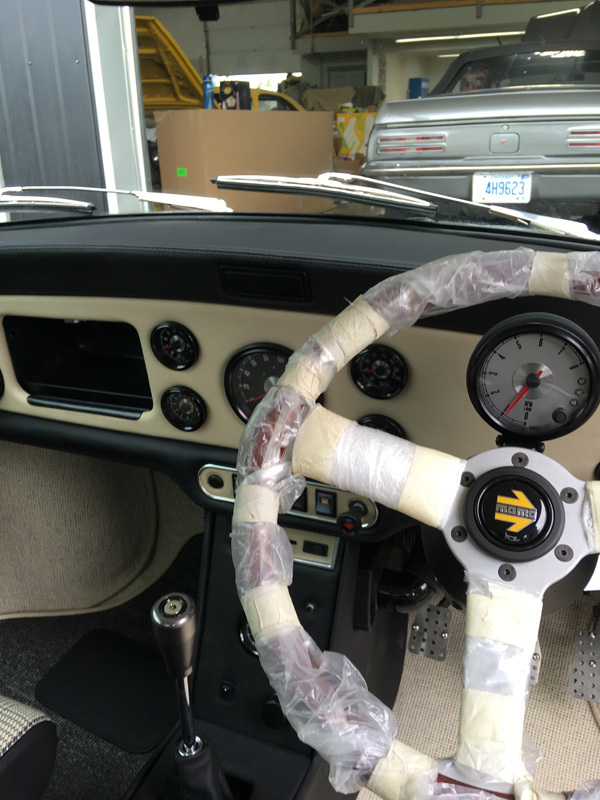 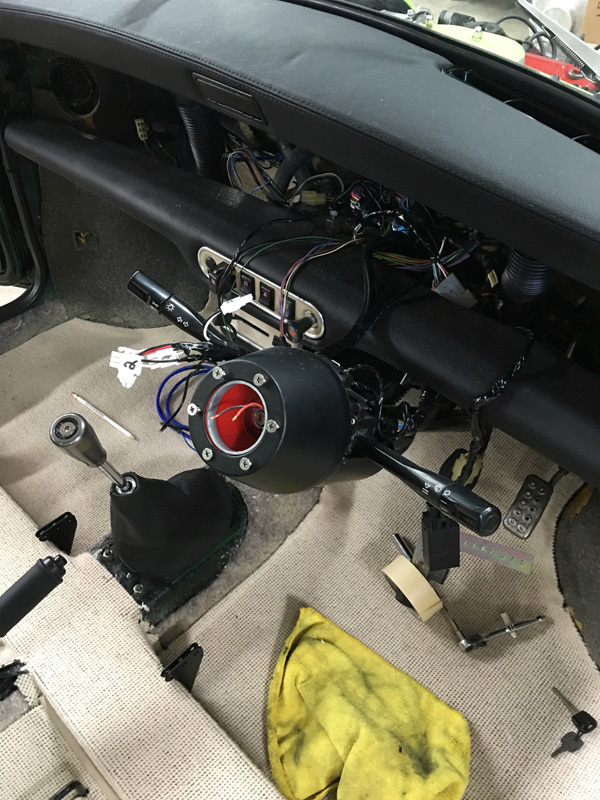 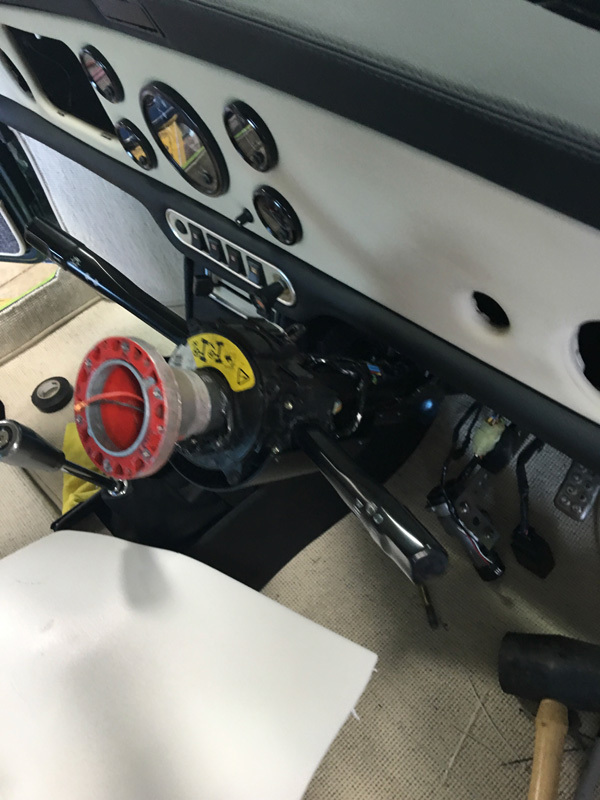 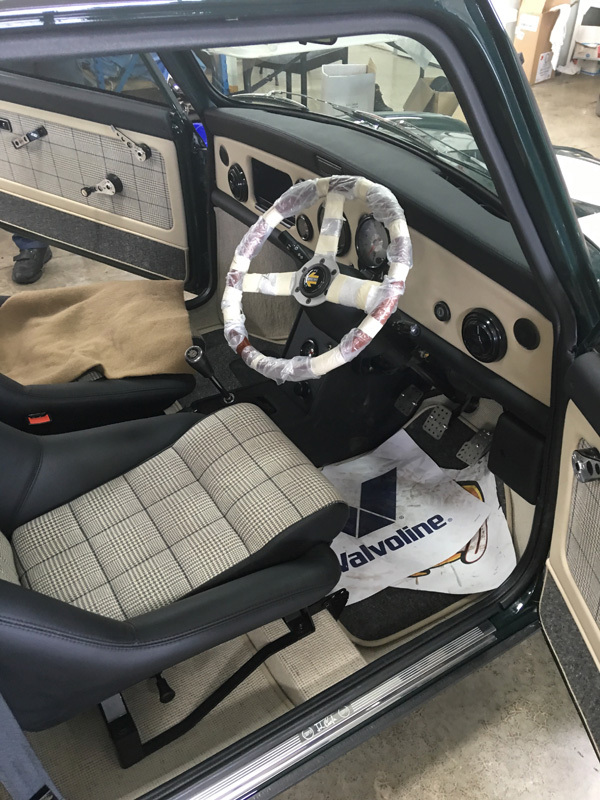 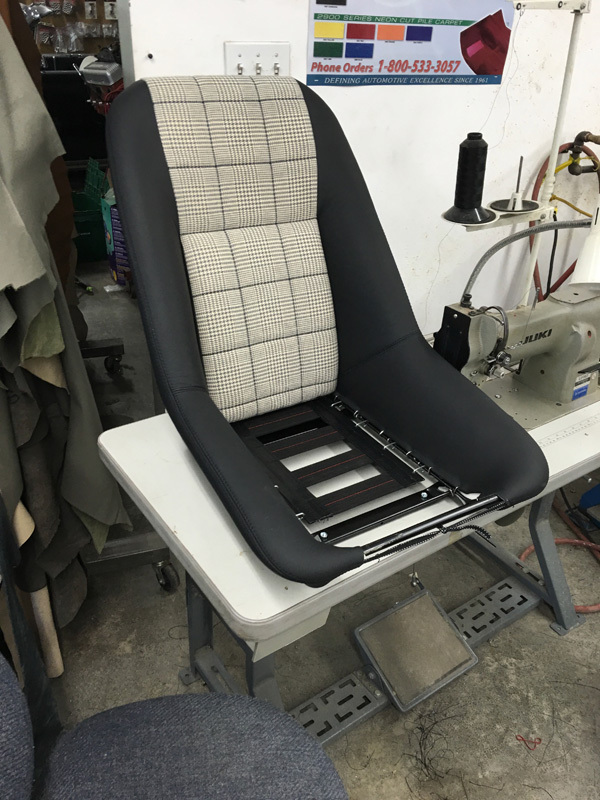 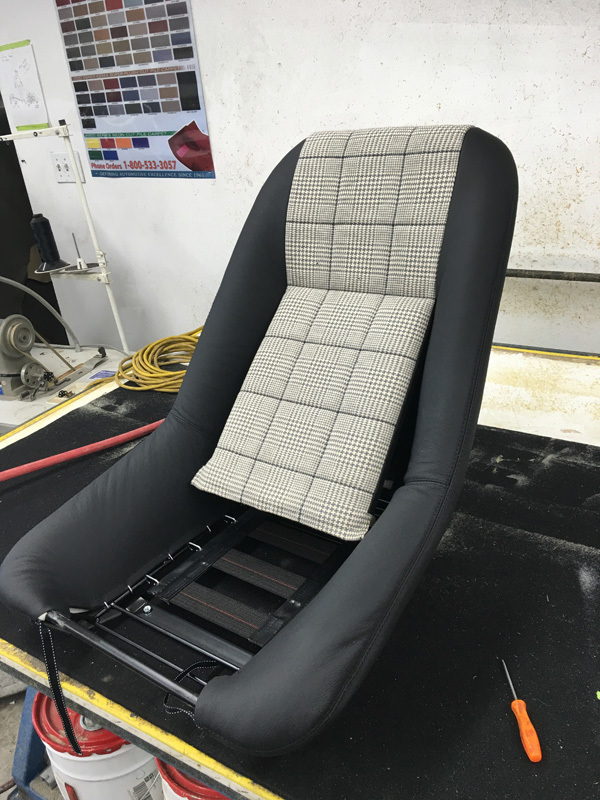 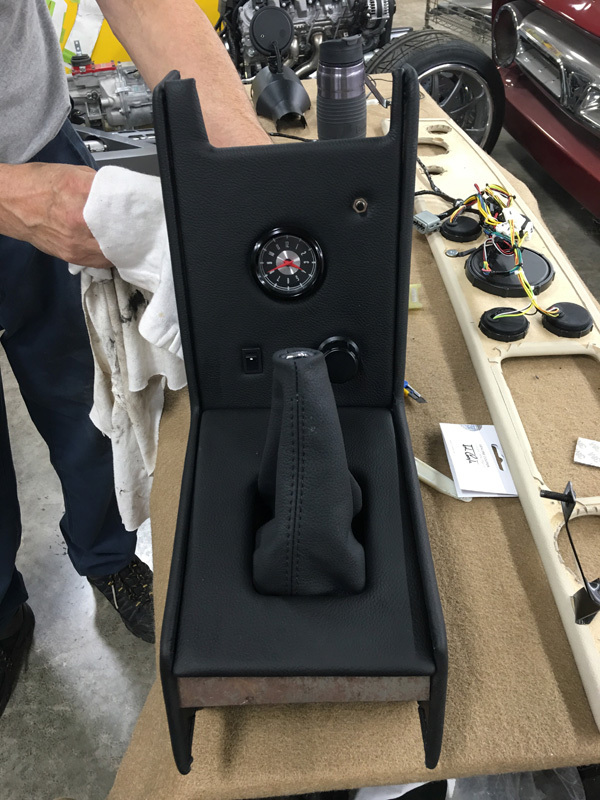 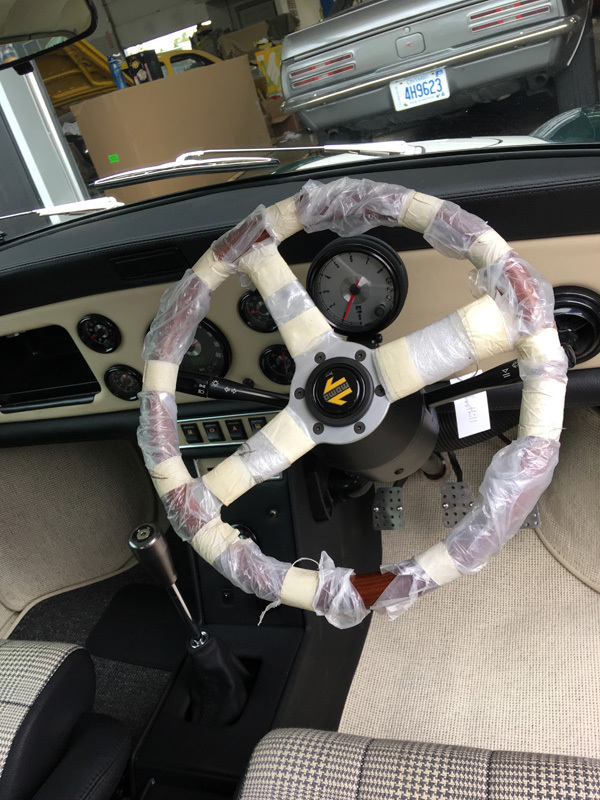 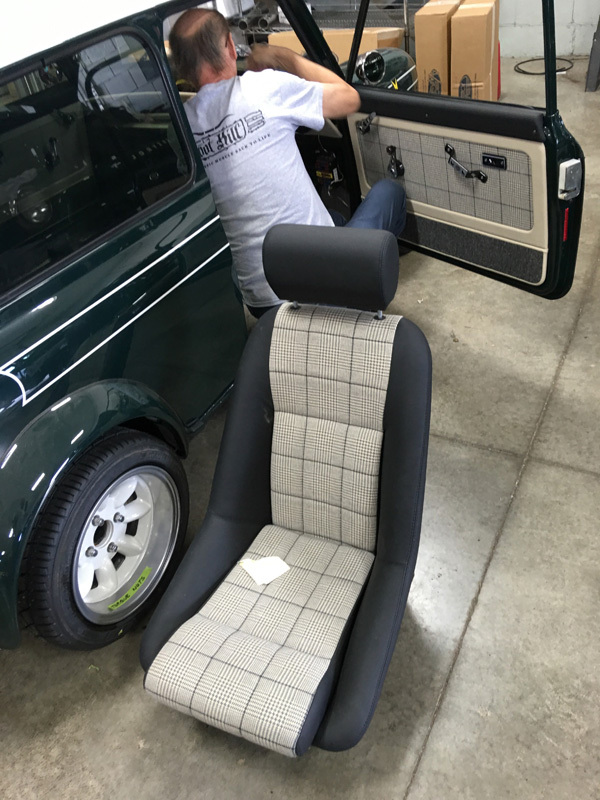 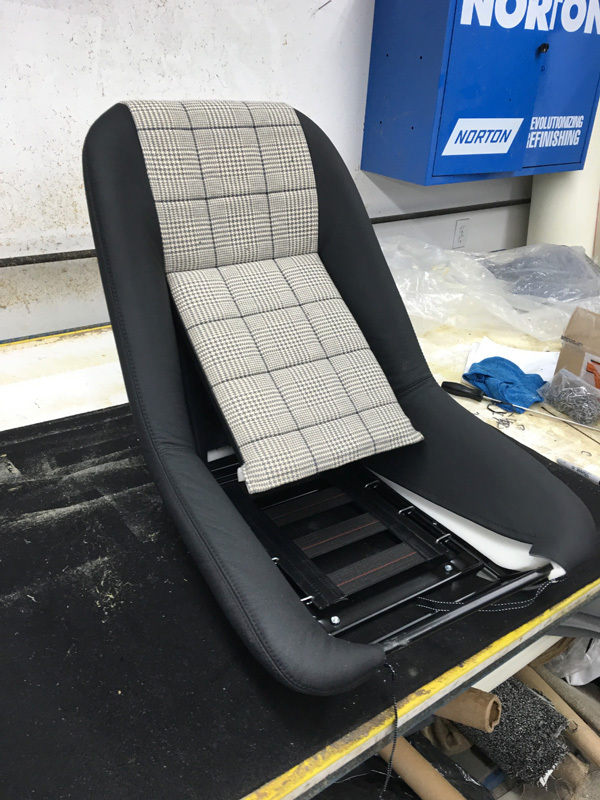 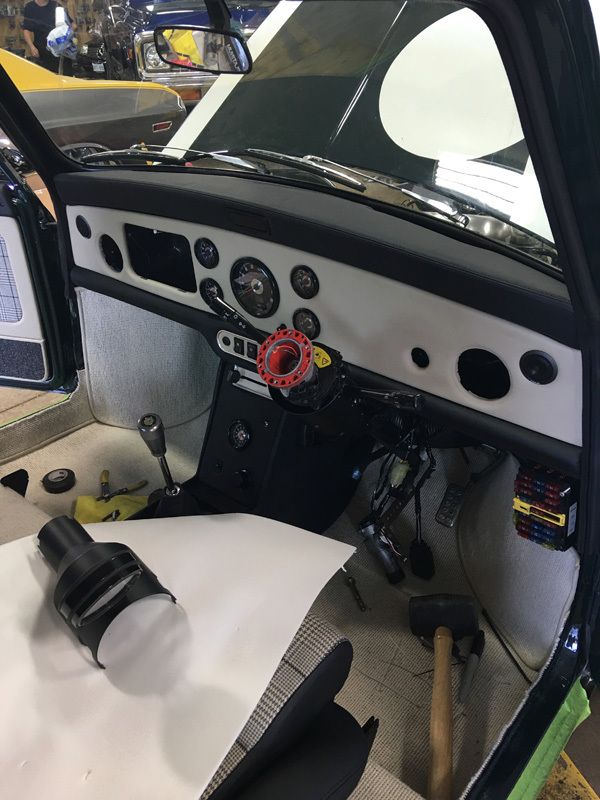 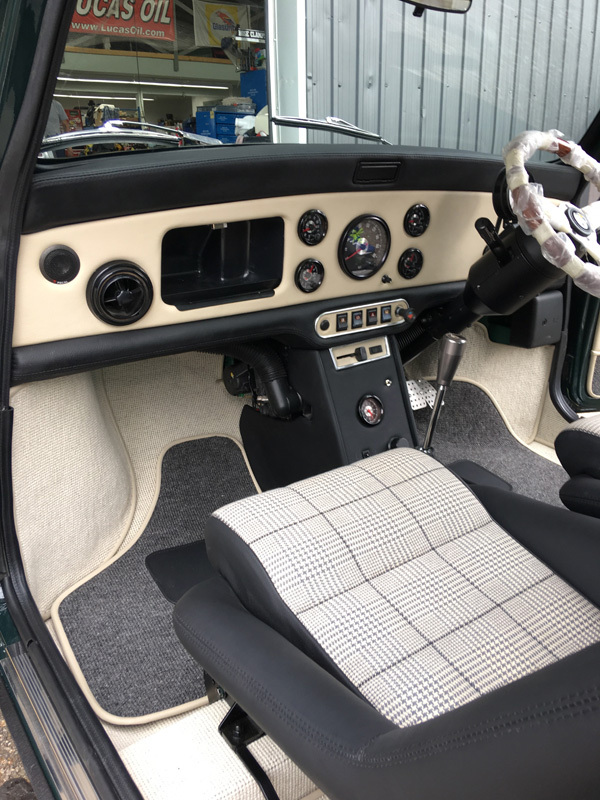 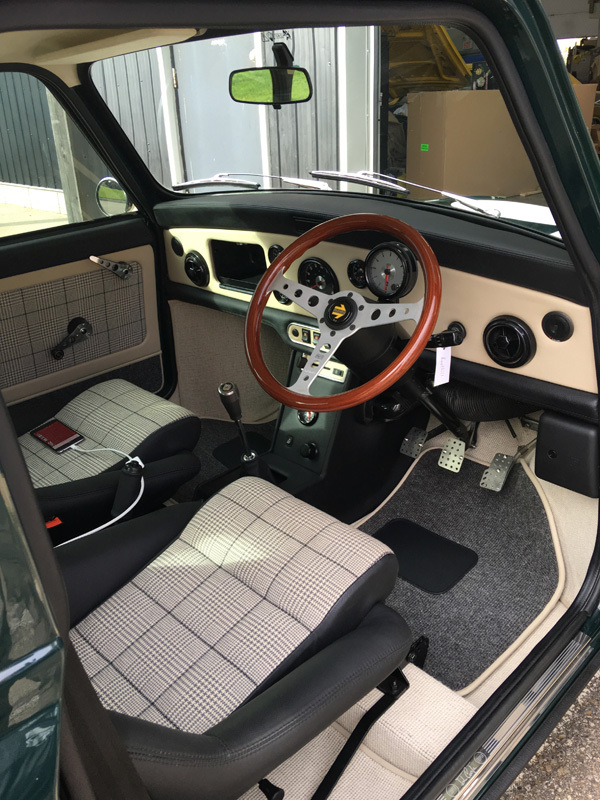 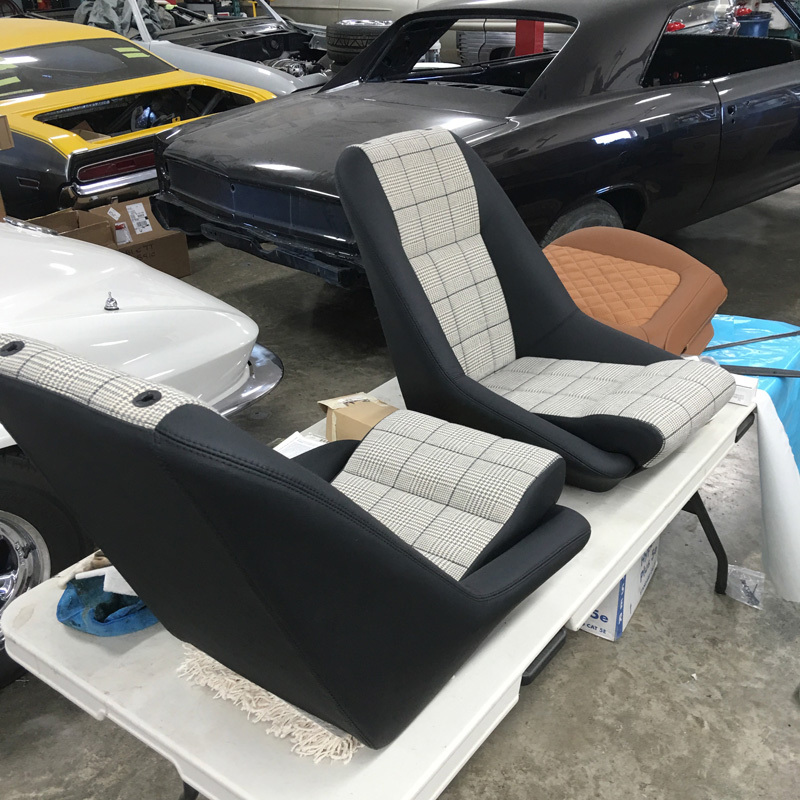 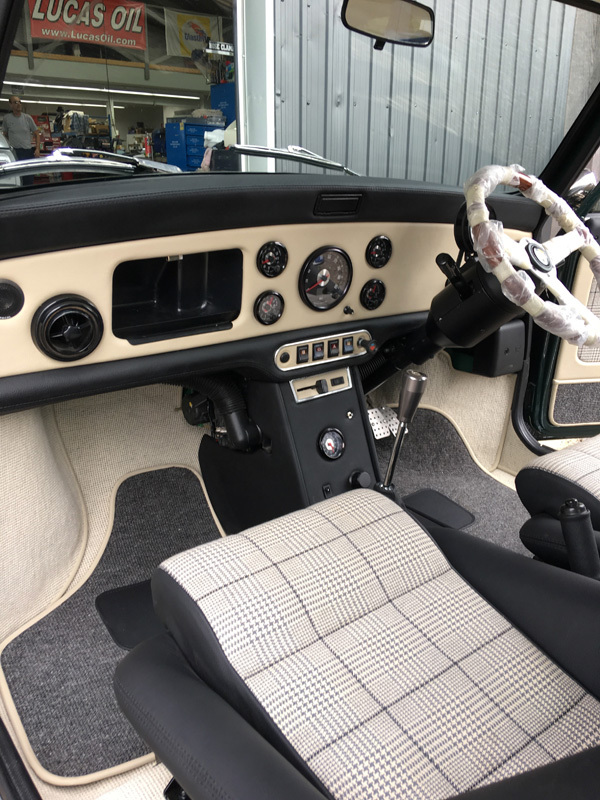 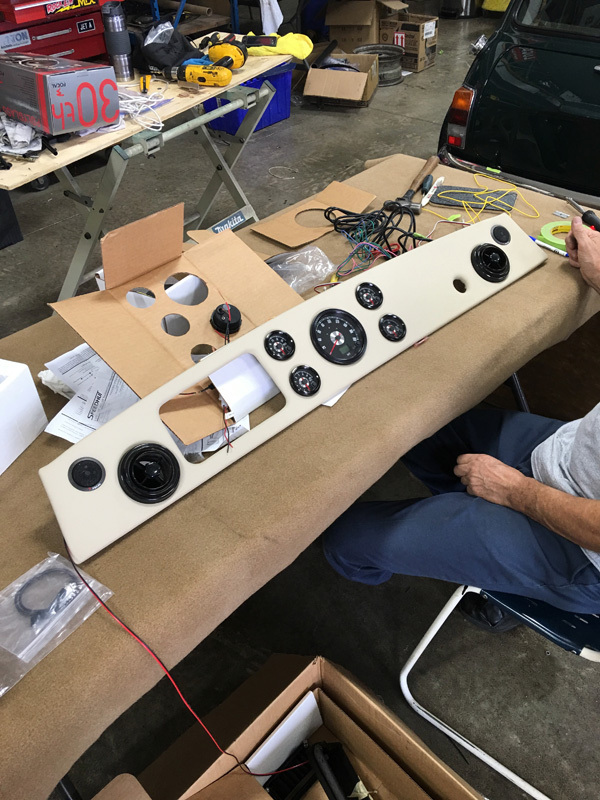 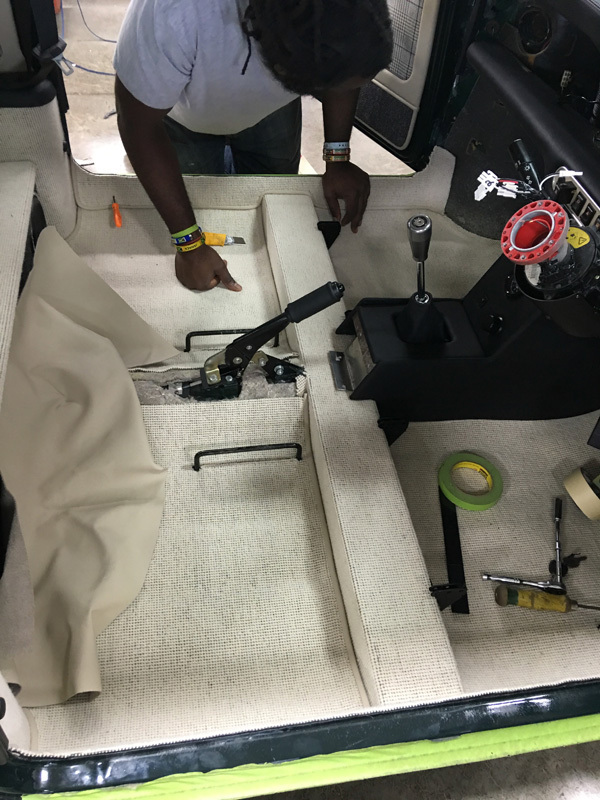 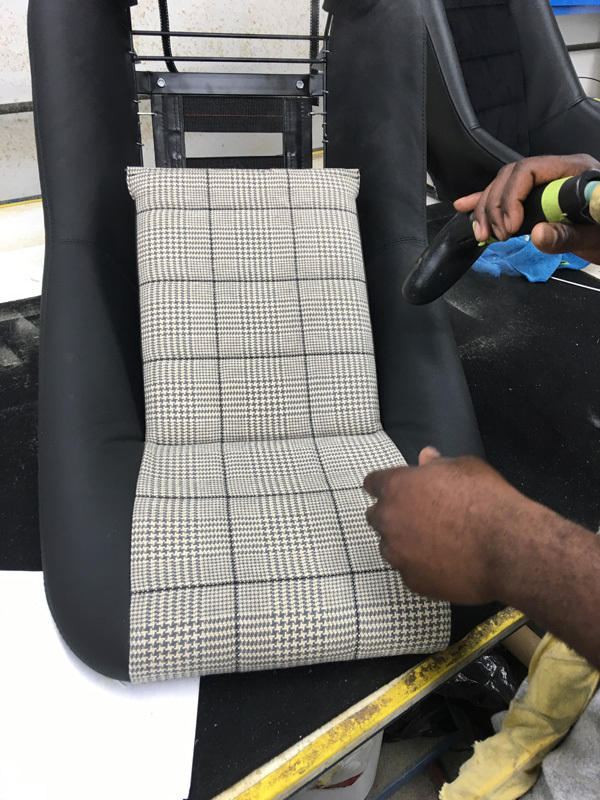 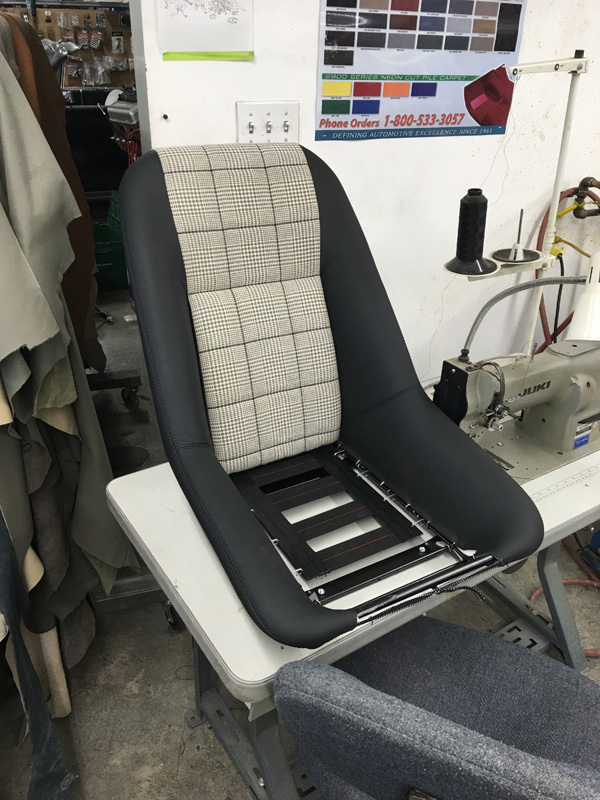 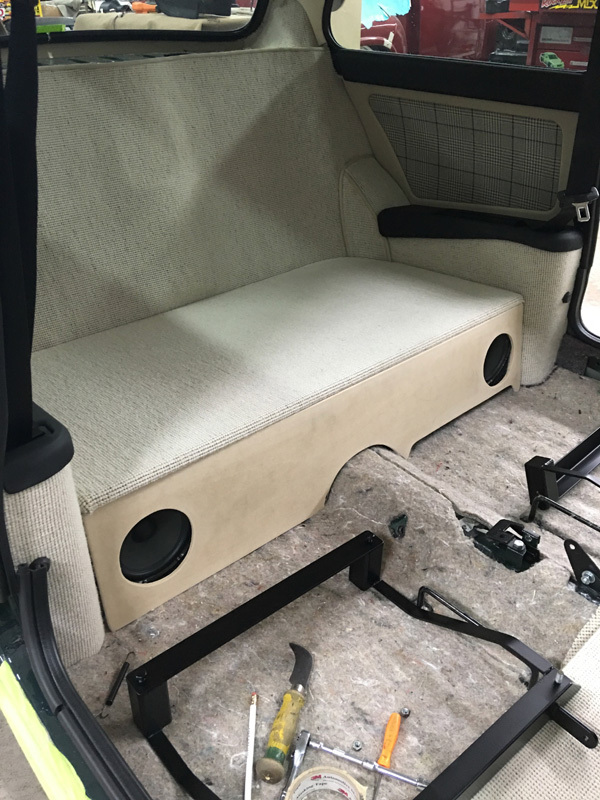 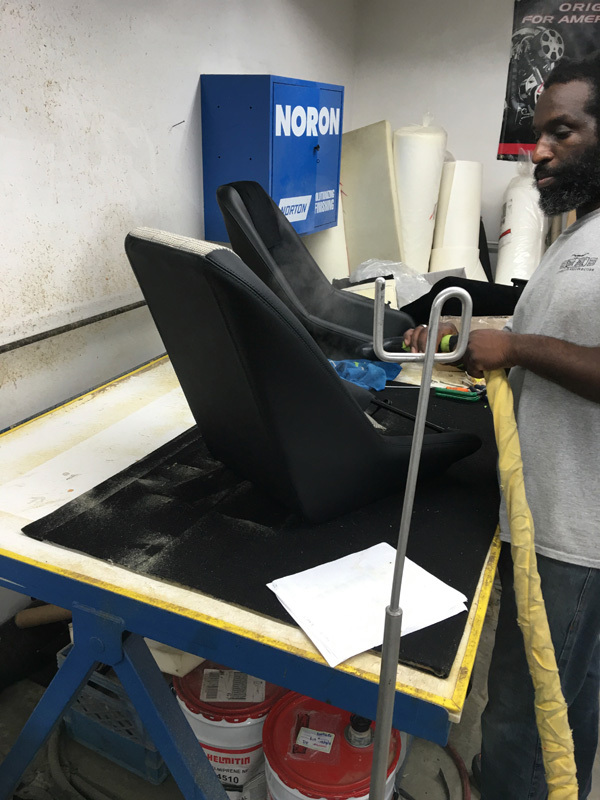 All the materials and where picked out and designed by the customer including leather wrapped dash center console with iPhone interface and Stealth Focal audio system. 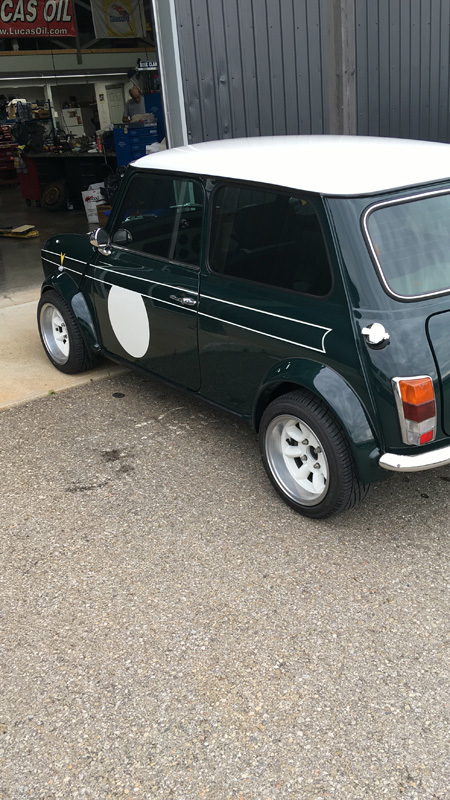 This is a very mighty Mini!